Ever wanted to experience life as a time traveller, but couldn’t because of budget issues and the fact that it hasn’t been invented yet? 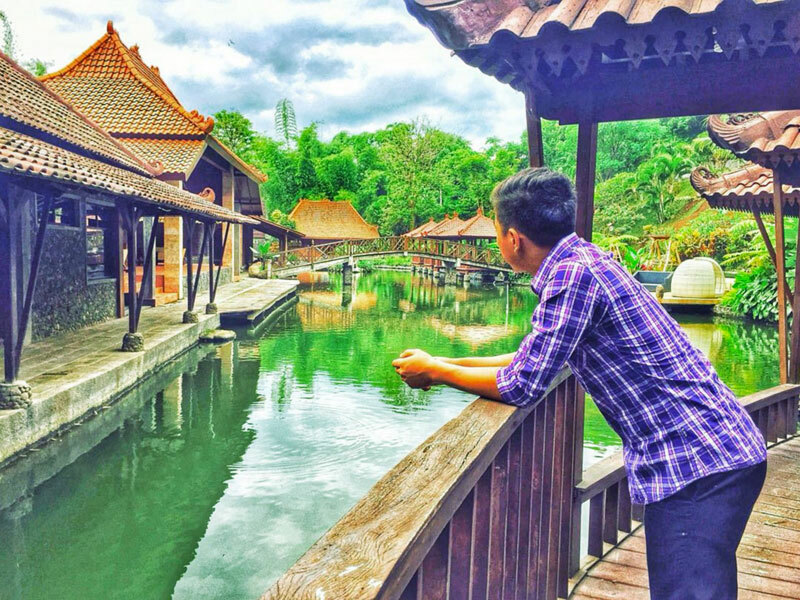 Then live out your fantasy in the second largest city in East Jawa! 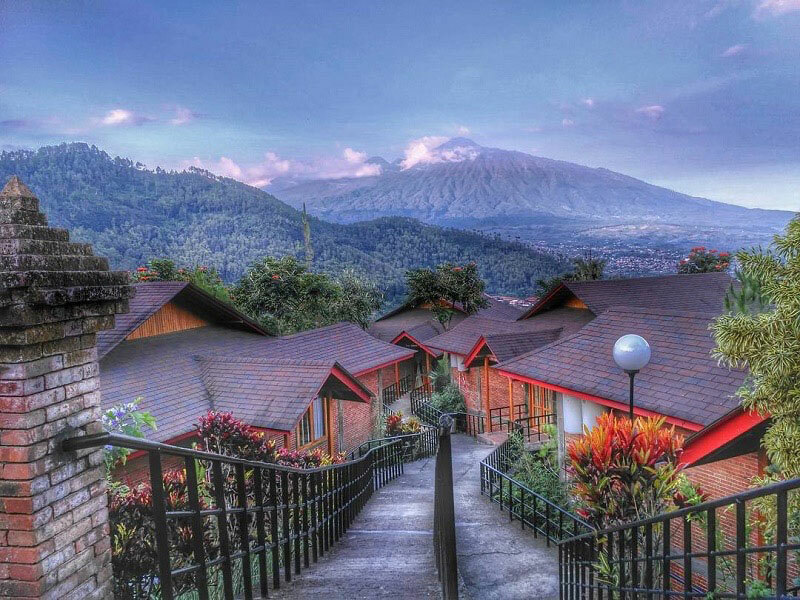 Malang was once run by Dutch colonists and its cool highland weather and rich cultural history drew tourists from all over the globe. Some even left their heritage and furniture behind! 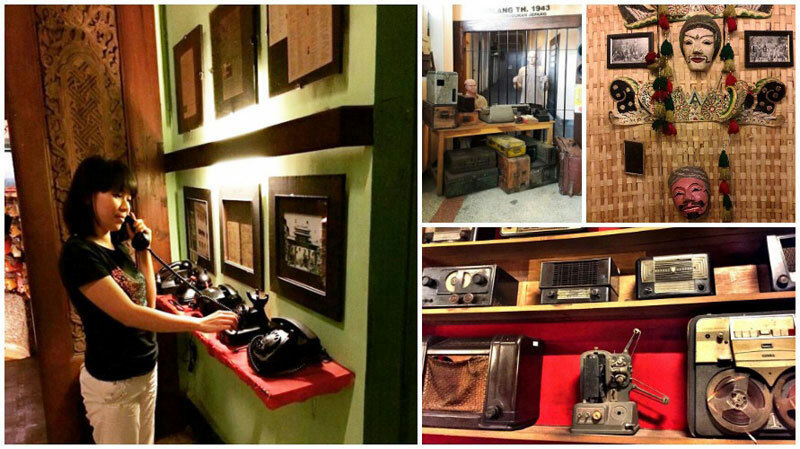 Today, Malang is covered in ancient Hindu ruins, colonist structures and old homes littered with antiques. But another power is slowly taking over the land. The power of pop culture! 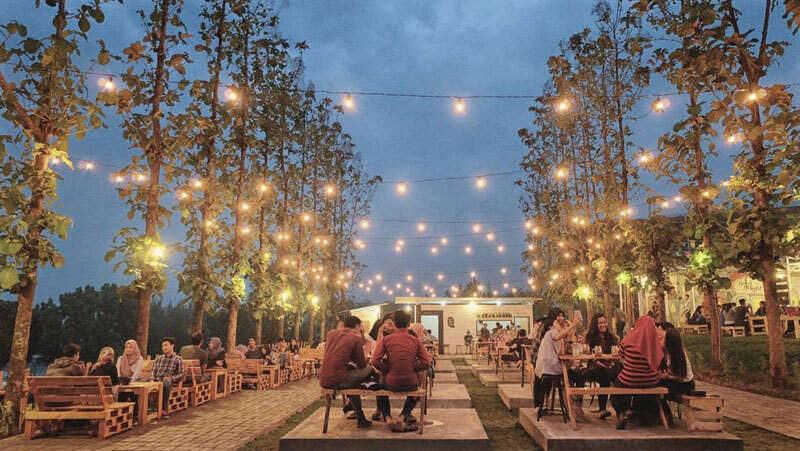 Modern hipster cafes and contemporary pop-up food joints have become the latest fad amidst age-old monuments – making Malang a city that offers a truly unique dining experience. 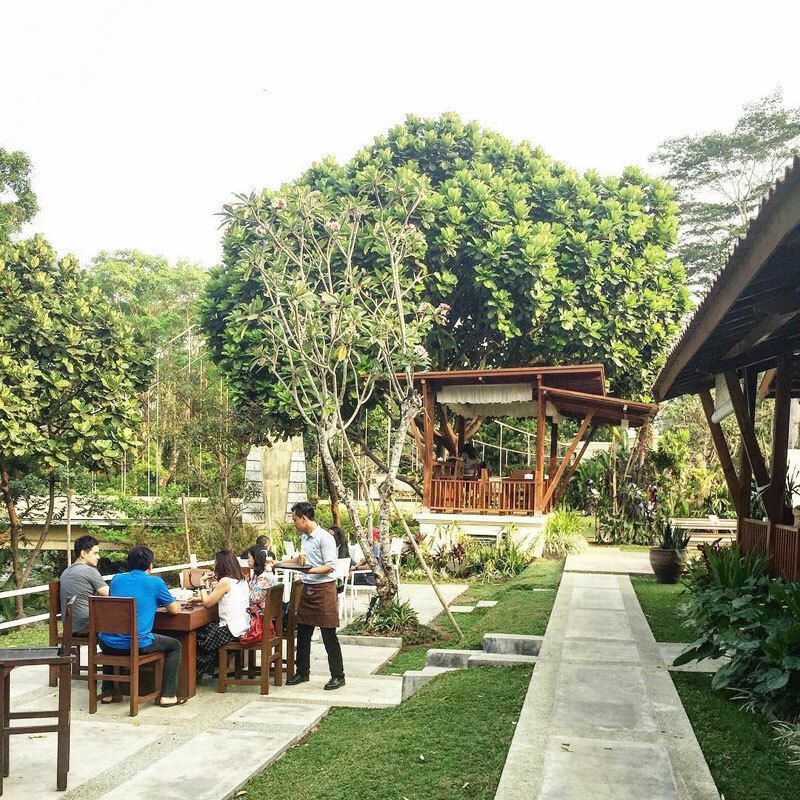 Located in a beautiful large garden with an architectural mix of indoor and outdoor designs, this coffeehouse surrounded by nature and good vibes is perfect for the sunset. 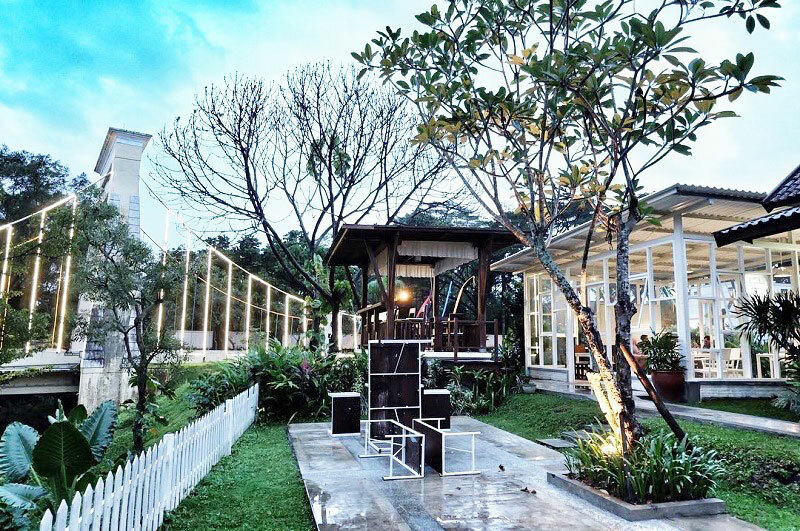 If you are travelling with friends or family, sit in the outdoor area where the small wooden gazebos promise a natural yet spacious set-up. A great spot for your weekend lunch too! The coffeehouse extends to a back area that faces a suspension bridge across the river. 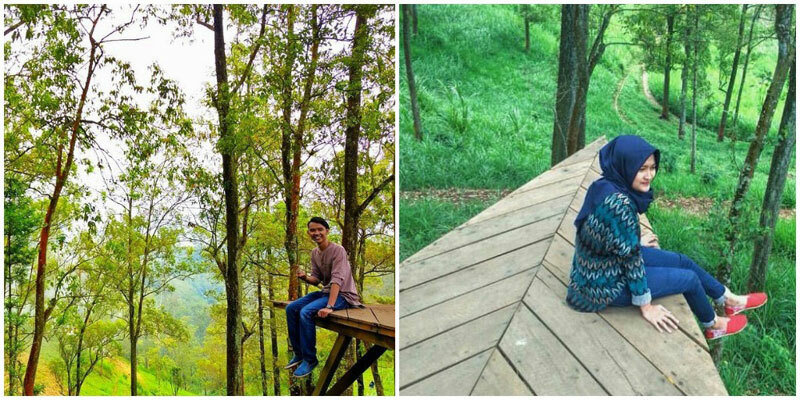 This spot has already become an Instagrammable sensation among local visitors! 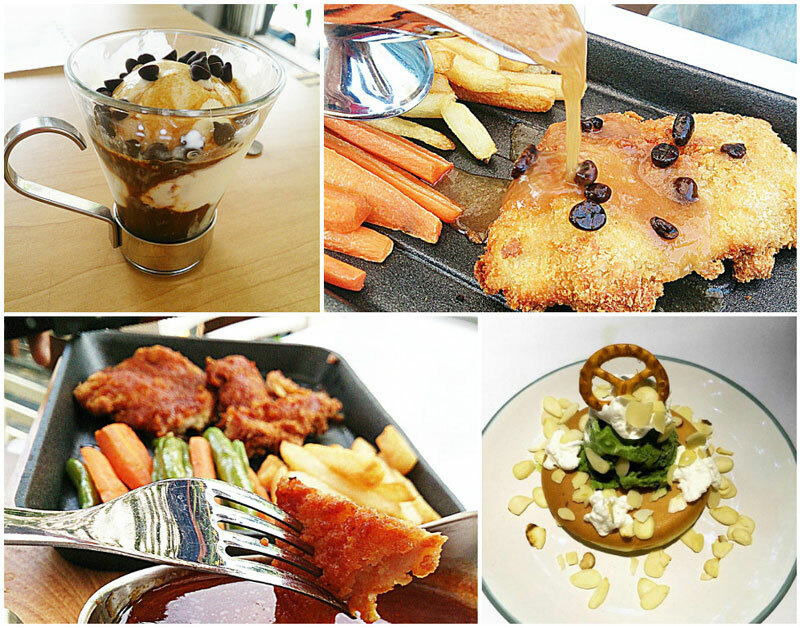 The menu consists of a wide variety of coffee options and the food is also diverse. From a mix of local and international dishes, you can choose Bruschetta for starters, and a pizza or pasta for the main dish. 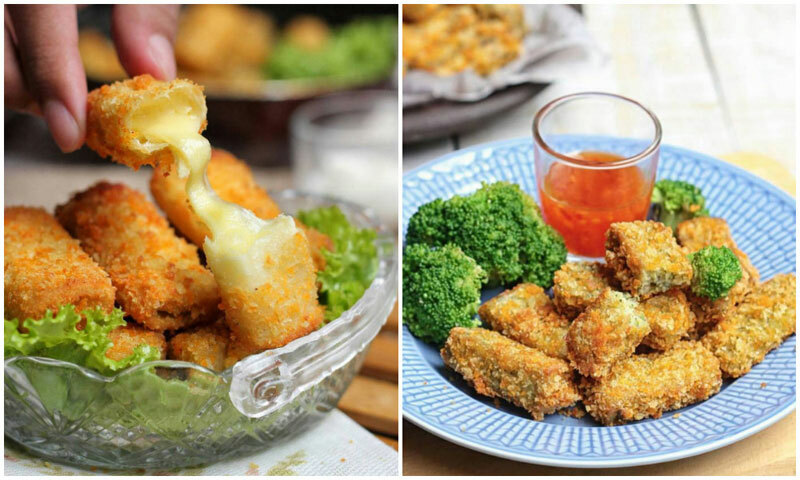 The Rock and Roll Fried Spring Rolls looks simply delicious, but if you want to try some local starters, we recommend Tempe Mendoan or Tape Rondo Royal for drinks. These are some special options! 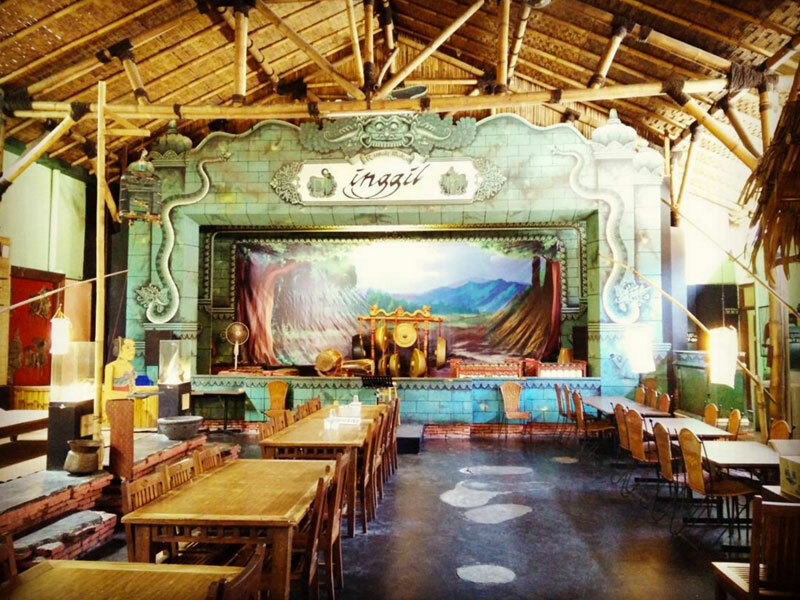 BataButi has it all – there’s simply no reason to not drop by when you are in Malang! 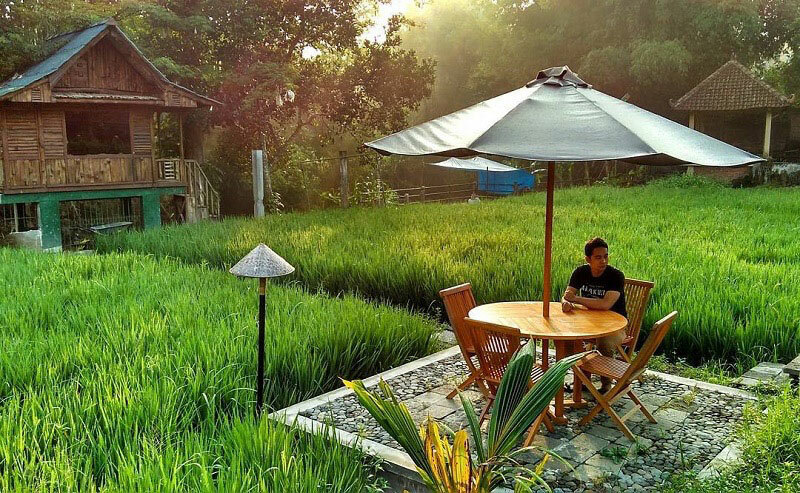 For a calm and unique dining experience, Paddy City Resort is all about enjoying the natural environment in a typical Indonesian village. 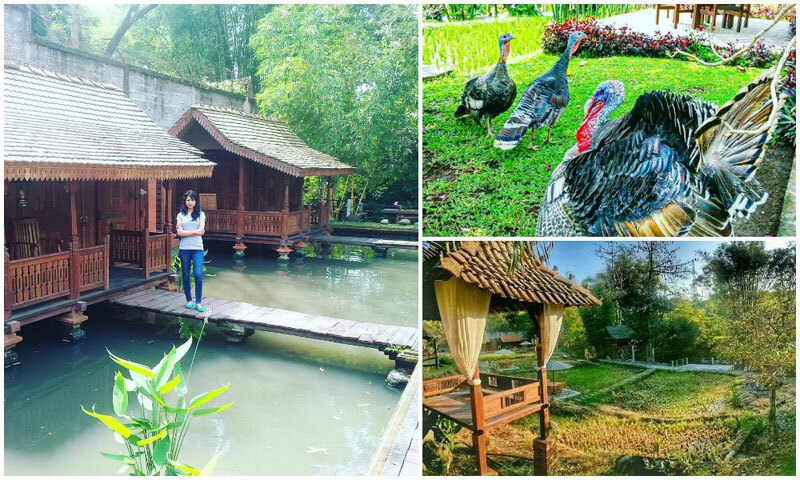 Paddy fields, wooden houses, and the smell of freshness are three elements that make this resort memorable. 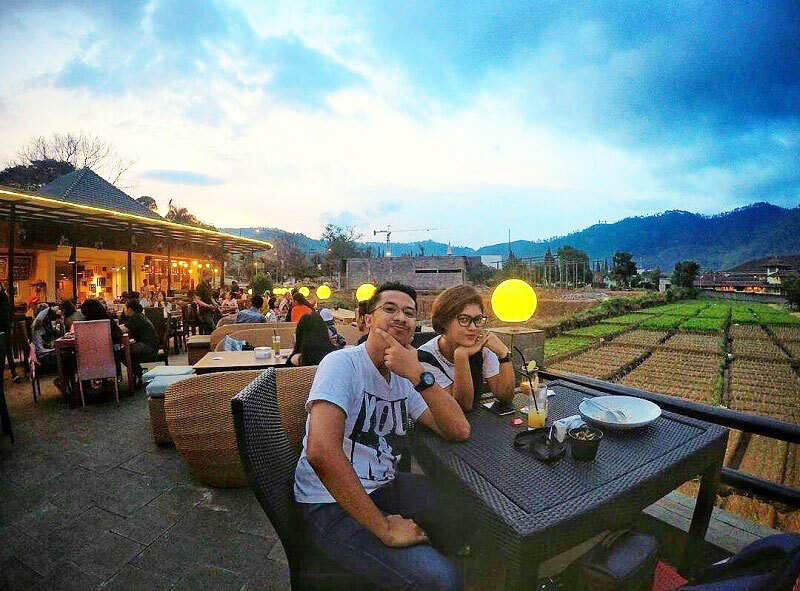 With tables placed literally in the middle of the rice fields, you can be intimately close to nature. 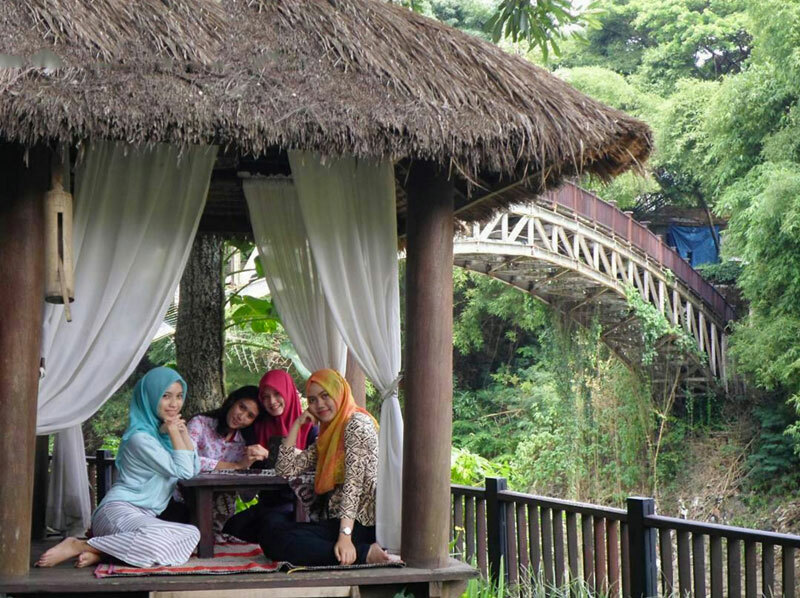 Listen to the sounds of the nearby river while you enjoy local drinks such as Wedang Jahe, a warm traditional ginger drink. 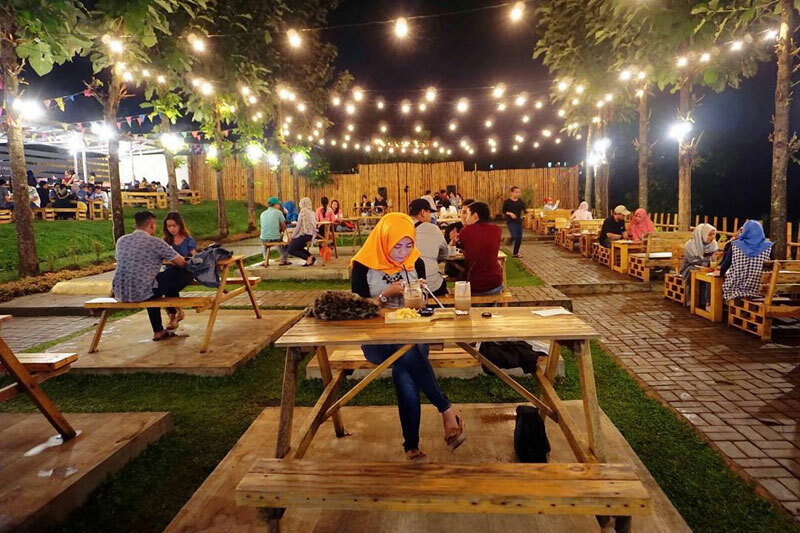 You will only find traditional local dishes here – Nasi Goreng (Fried Rice), meat specialties like Krengseng Sapi (Beef), Sup Iga Sapi (Beef Ribs Soup), or Ayam Rica-Rica (Spicy Chicken). 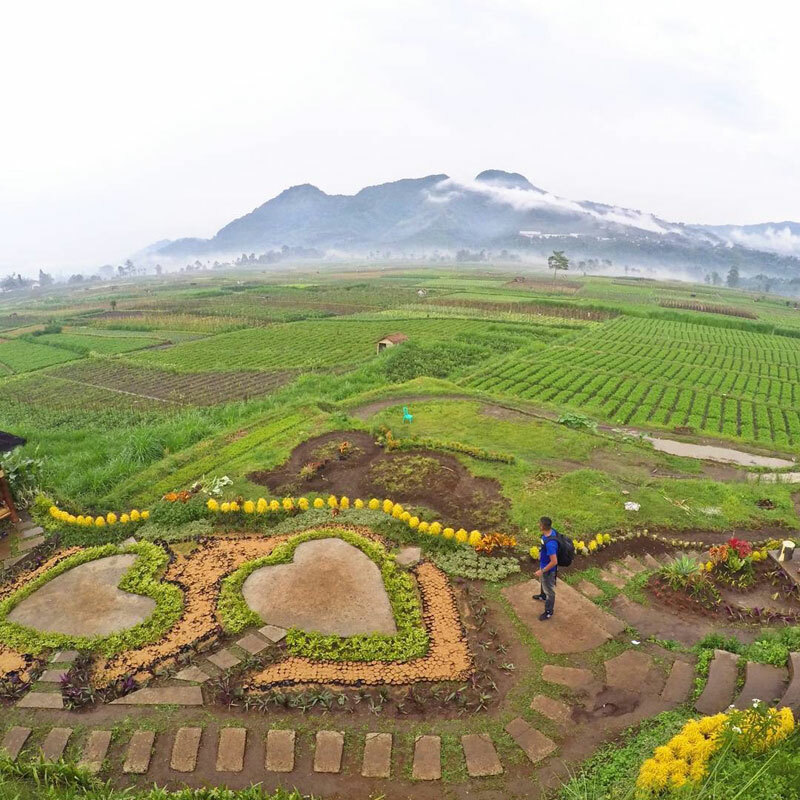 To fully experience the countryside life in Malang, you can even rent rooms in cottages near the villagers’ homes. You will be living in the village itself, where you can watch your neighbours go about their daily activities such as farming or harvesting. 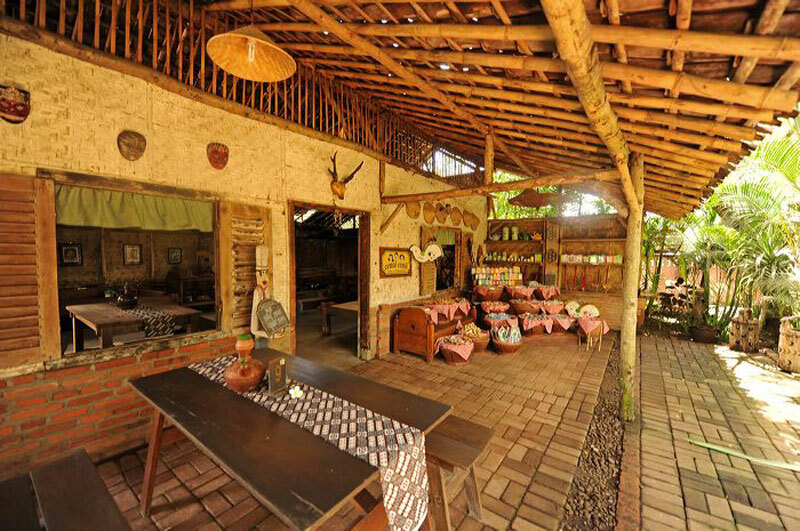 In this environment tucked in nature, serenity and tradition, you’ll be able to bring home very special and unforgettable memories! 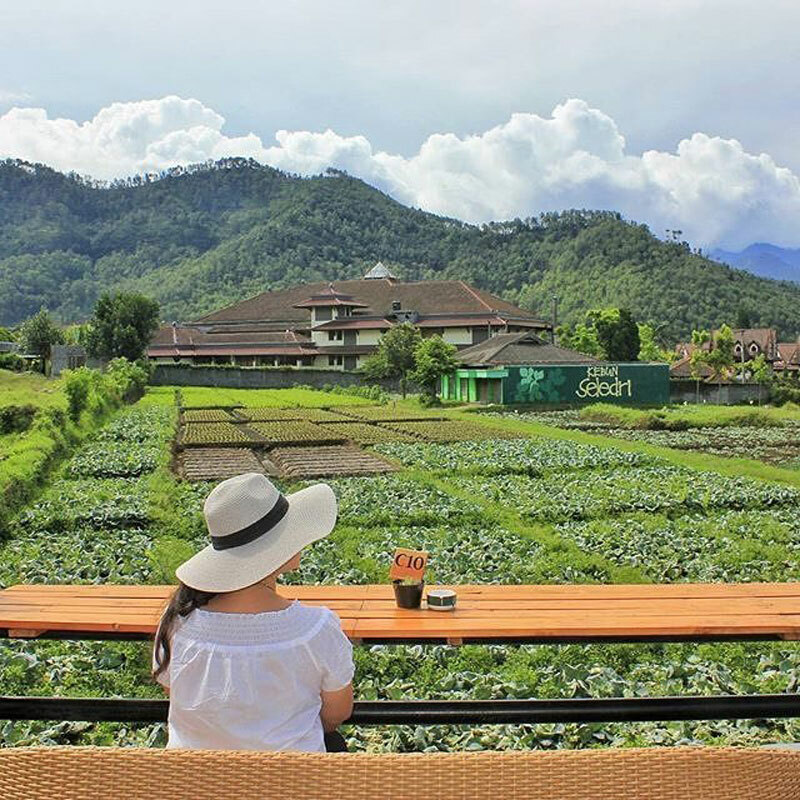 Imagine sitting at the foot of the mountain, surrounded by green rice paddies and emerald forests in the background while enjoying some local snacks with your friends. 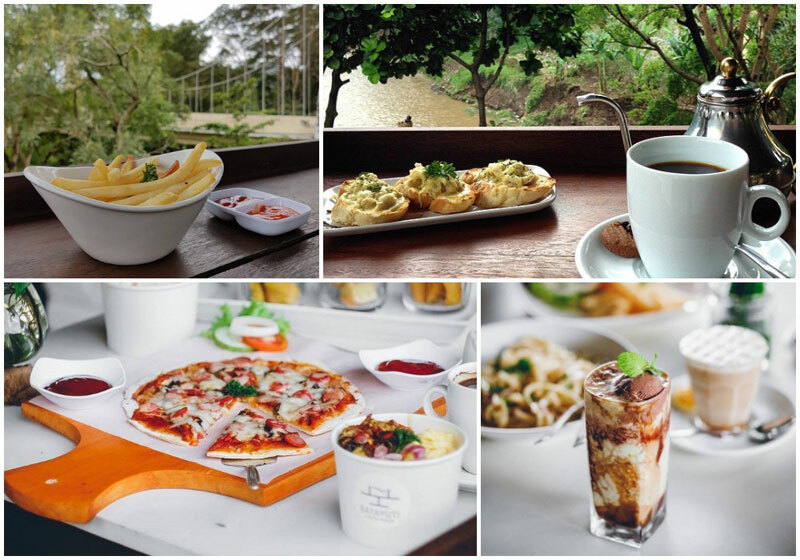 Located away from the hubbub of the city, this cafe is worth visiting for a refreshing and relaxing afternoon where you can invite your friends or make new ones! 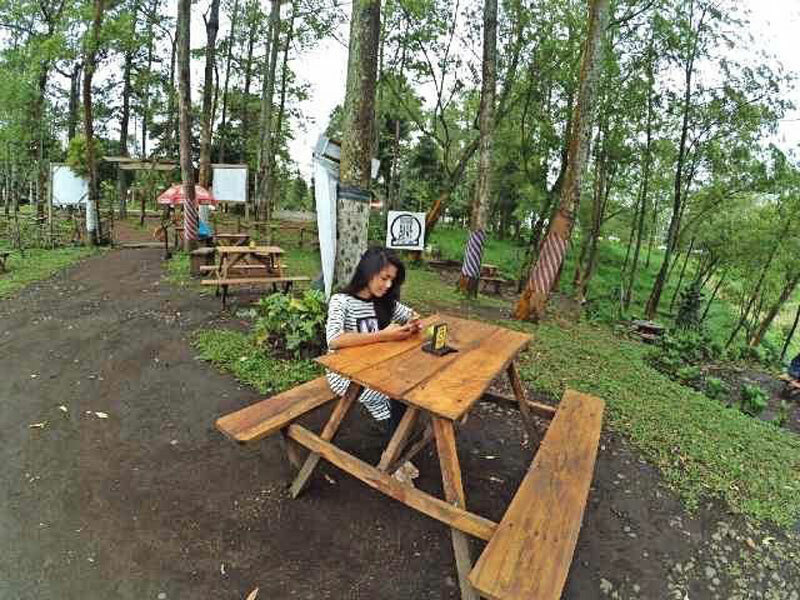 If you come during the day, you can sit at the tables facing the landscape of green as it merges with the clear blue sky. 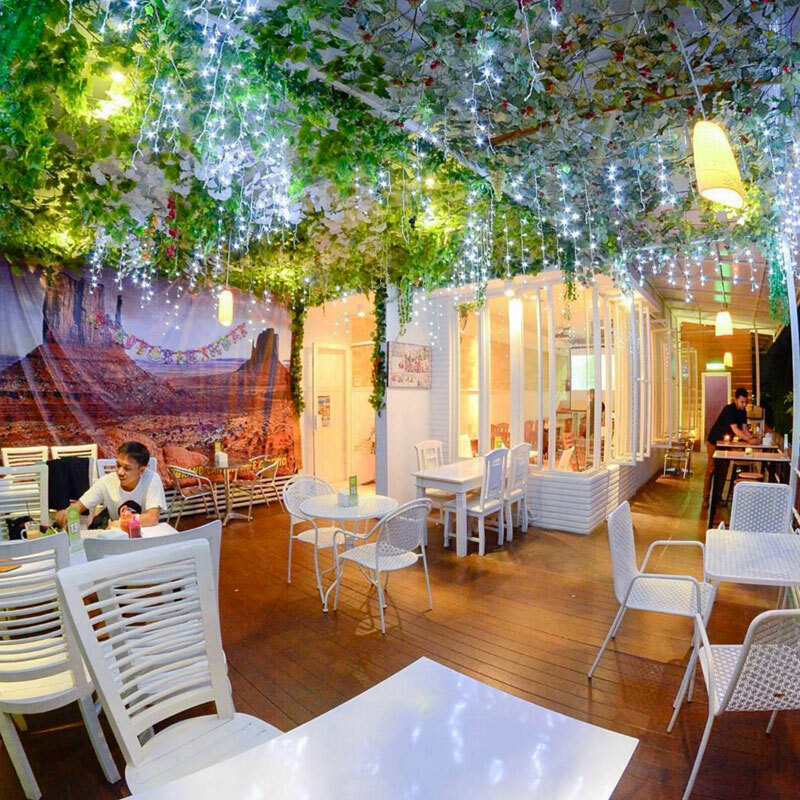 In the evening, the atmosphere changes into a lively spot with sparkling light decorations. 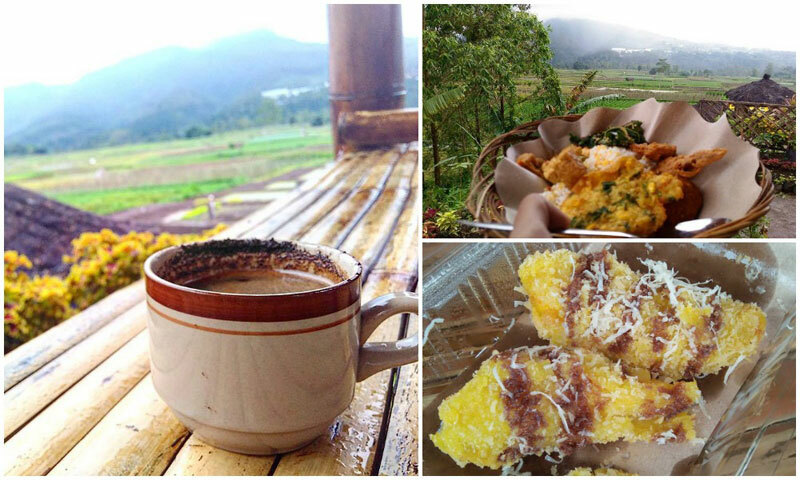 Fresh cool air and tons of good vibes are what you will get at Pupuk Bawang Coffee! 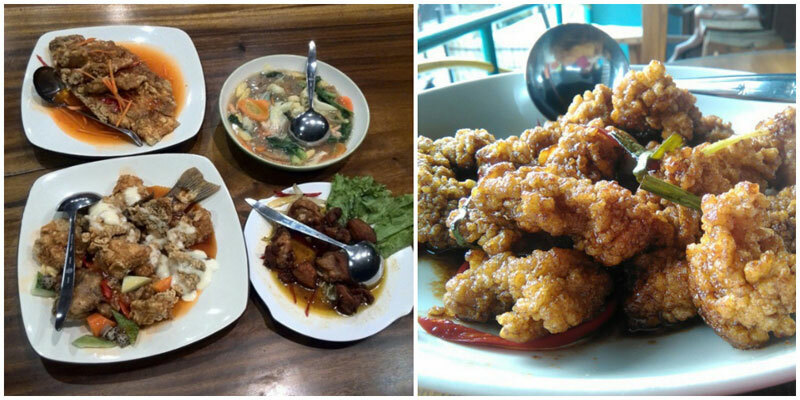 With a variety of food and drinks, Pupuk Bawang is also popular for its delicious dishes. From Onion Rings for starters to the Classic Beef Burger, there are plenty of options to choose from. 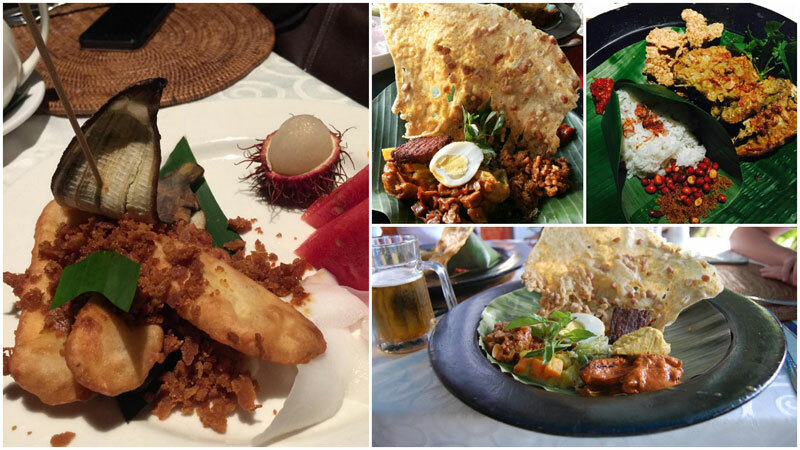 If you prefer Asian food, we recommend Ayam Lima Rasa (Five Flavor Chicken) which is one of the specials. And one more thing – you get free popcorn too! It will go perfectly well with the cocktails you might want to try. 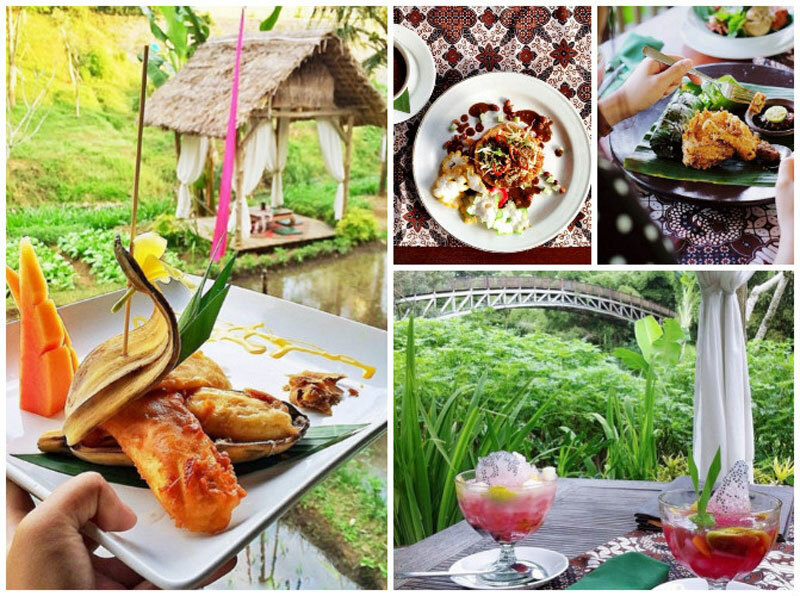 Dining in the middle of the rice fields has certainly become a popular phenomenon among Indonesians, and Sawah Pujon Kidul is no exception. 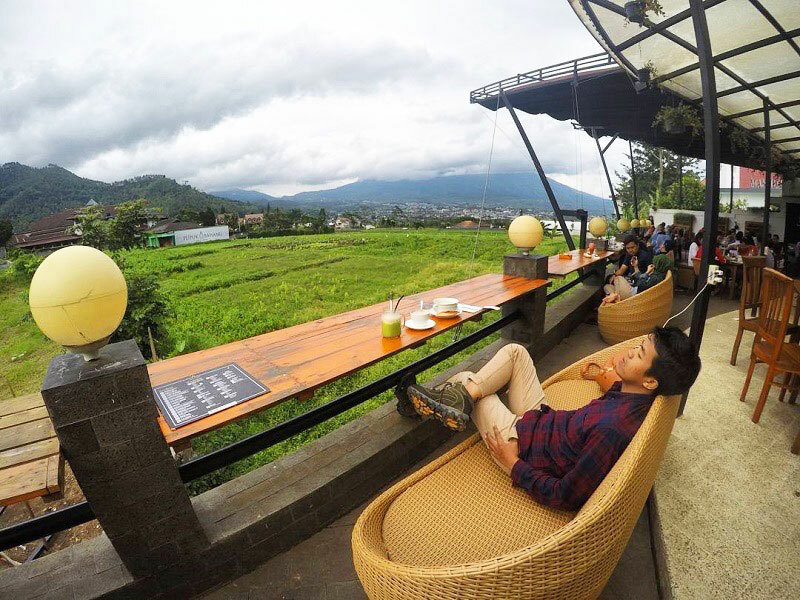 At Pujon Kidul, you can bask in the full view of the paddy fields with Mounts Dorowati and Putri Tidur in the background. 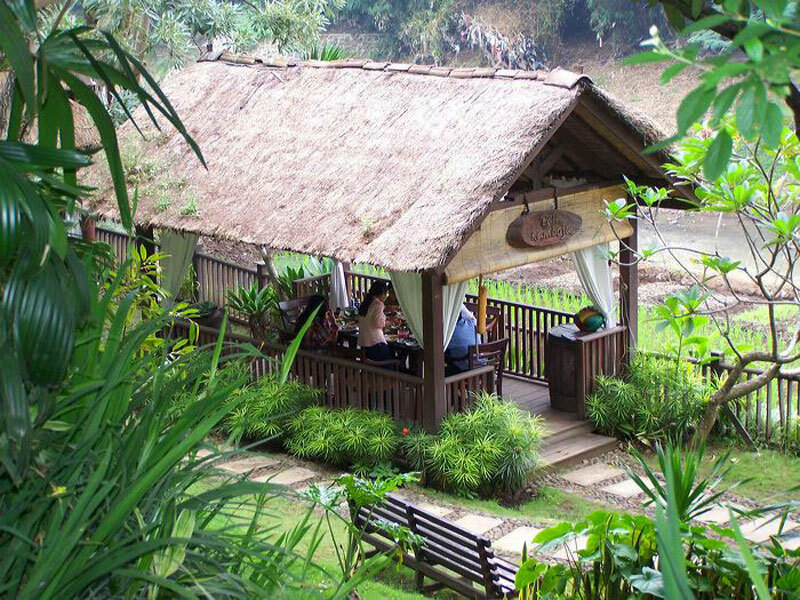 The café is made up of traditional decor and natural materials, with wood furniture and bamboo gazebos in a perfect mélange with the surroundings. The best part? You can take leisurely strolls along the path near the paddies, breathe in the crisp clean air and simply enjoy nature. 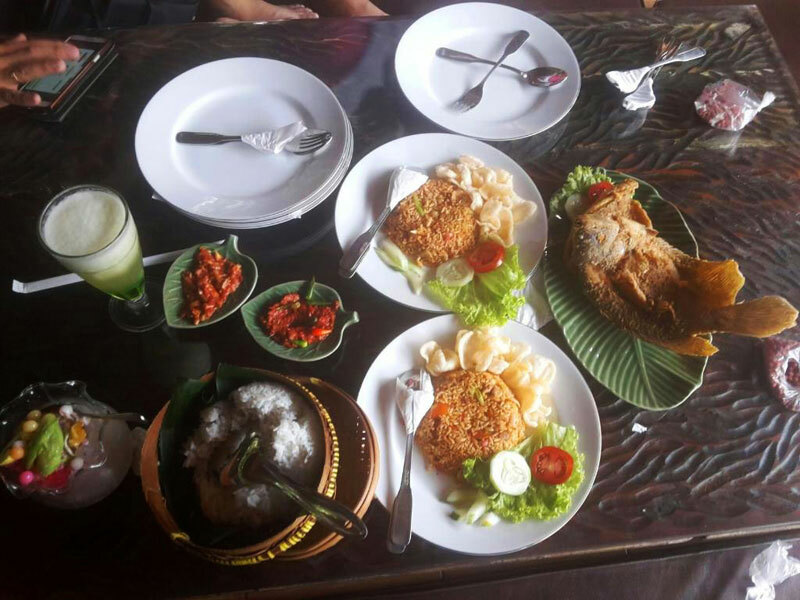 Although the menu will not bring something extremely special to the table, your Indonesian experience will feel authentic with the Corn Rice dish, or a cup of local coffee. What else do you need when you can get this view? 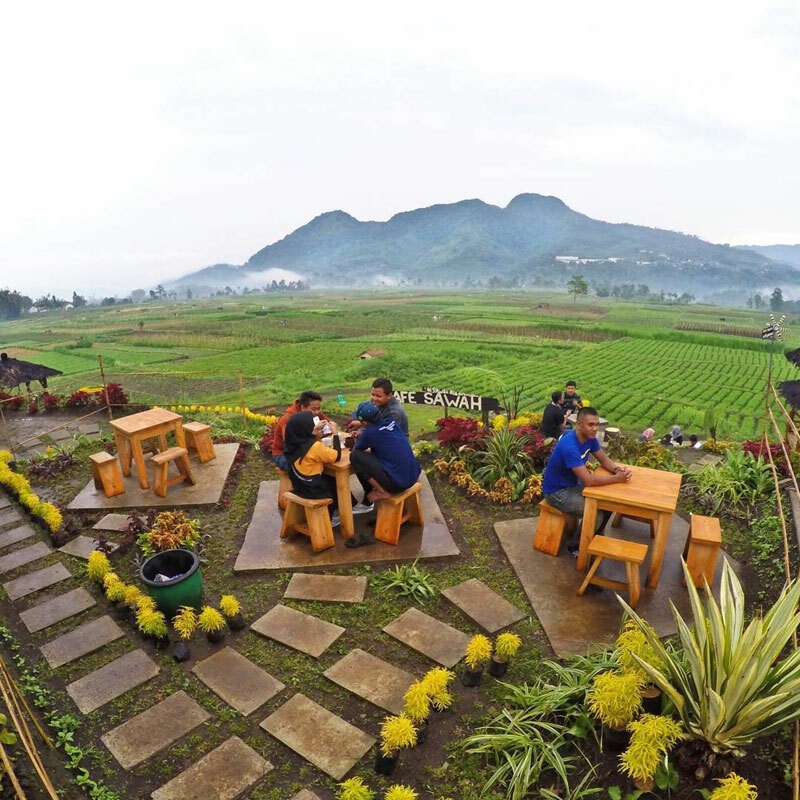 How to get there: From Malang, head to Coban Rondo via Batu-Kediri Road until you reach the Cow Sculpture. After that, follow the directions to Pujon Kidul. Coordinates here. 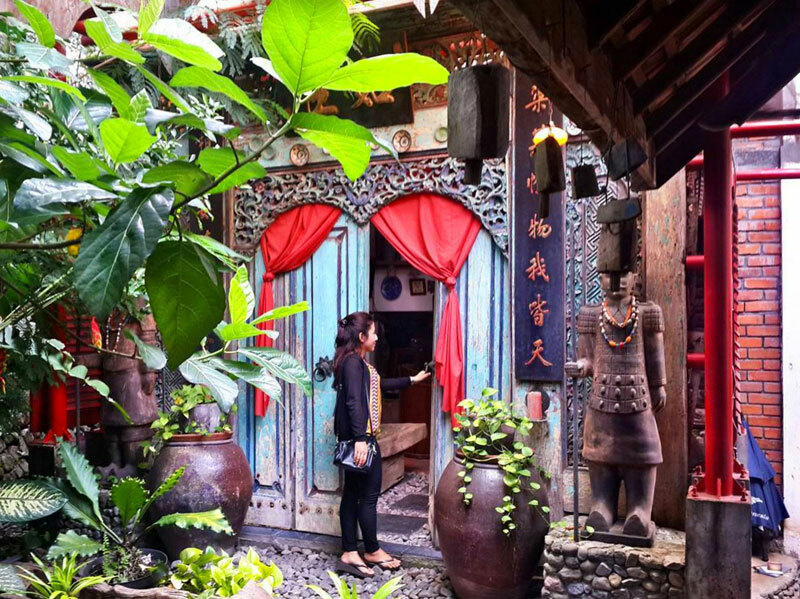 While most of the places on our list feature European influences, this one purely has Chinese-Javanese factors, and it does it to the maximum. 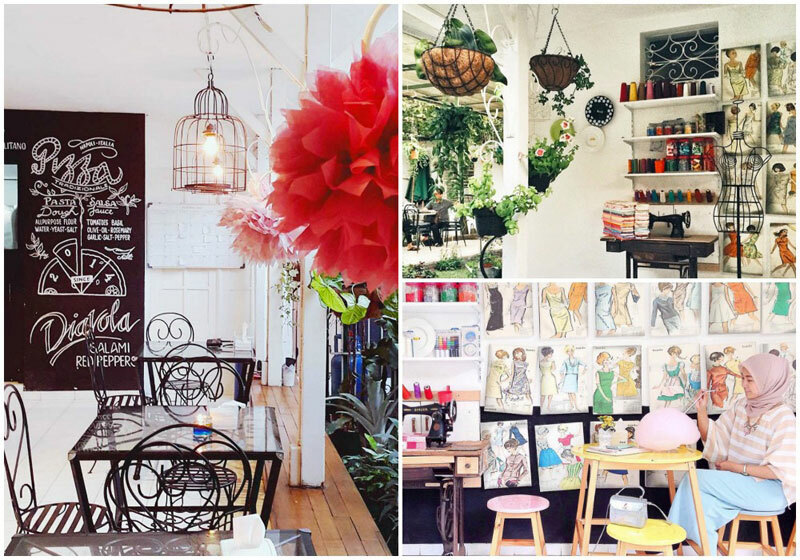 We’re talking floor-to-ceiling filled with all sorts of decor and trinkets! It looks like a little villa decorated tastefully by a historical hoarder. At a glance, the crowded walls and corners might seem messy, but stare longer and you’ll notice a method to this madness. 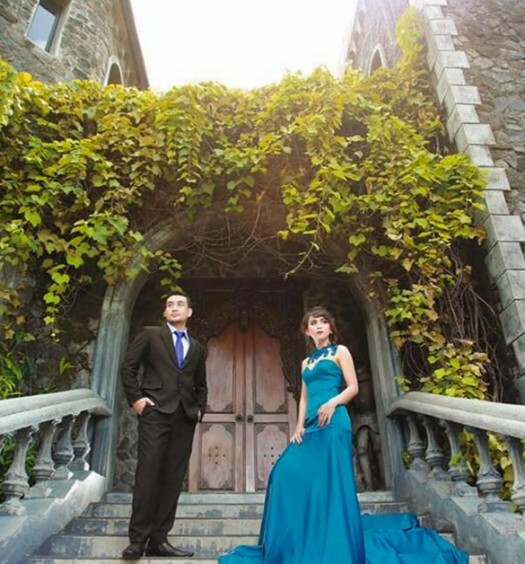 It’s this madness that attracts couples to make this a favourite spot for pre-wedding shoots. Address: Jalan Tata Surya No. 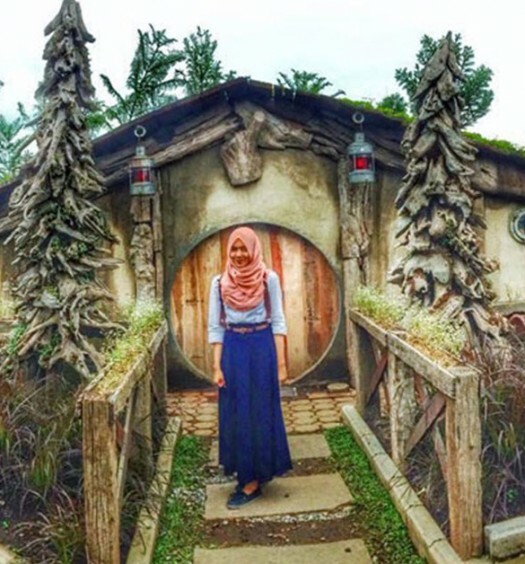 2, Dinoyo, Malang, Indonesia. 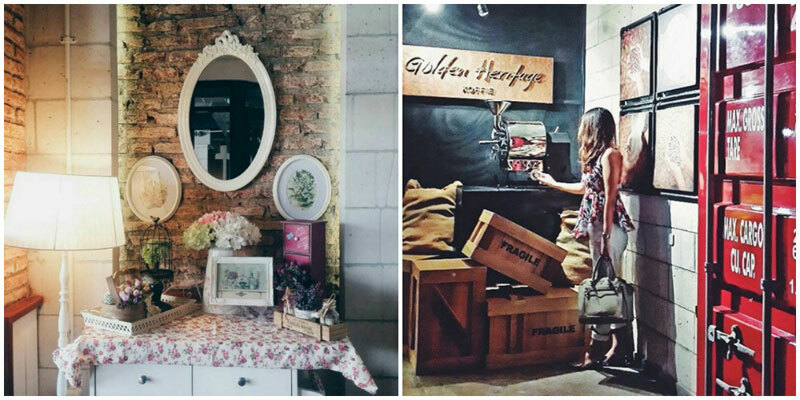 Most of the places in this list are located in the city, and offers a trip down memory’s lane by way of vintage décor and antique props. 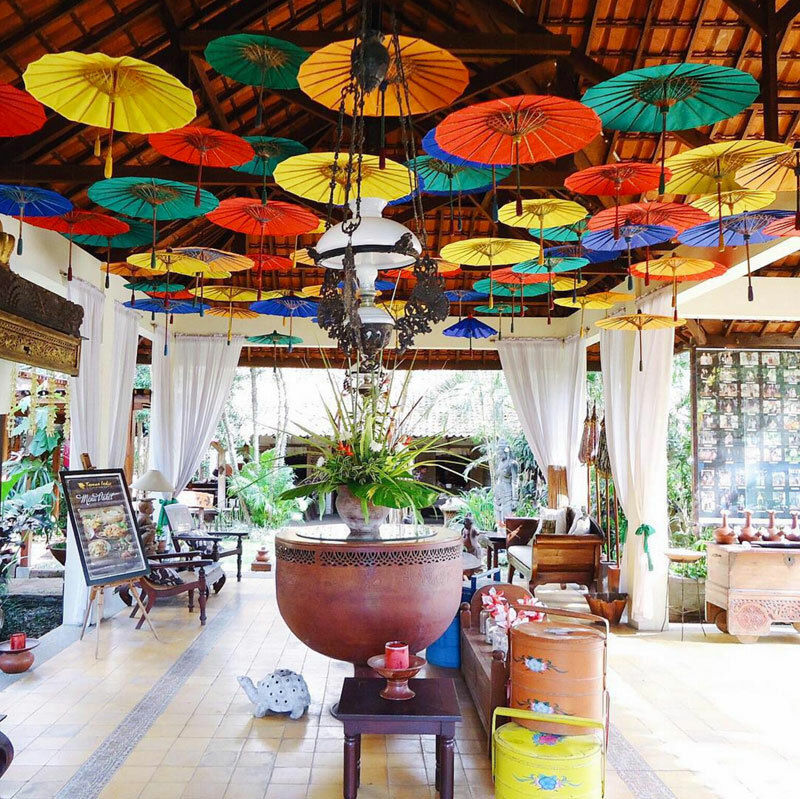 What makes this restaurant different, is that it teleports you back to the pre-colonial era – when the Javanese lived off the land, by growing rice and fishing from rivers. 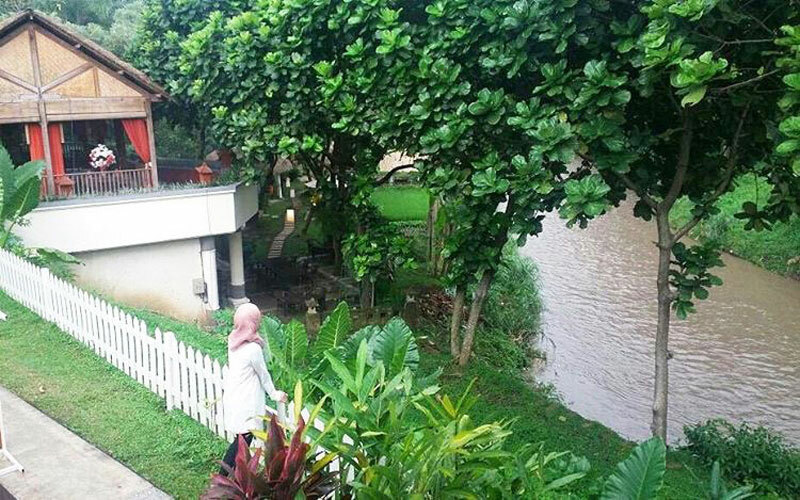 Taman Indie River View Resto is located along the riverbanks of Sungai Bango (Bango River), sandwiched between paddy fields and lush forestry. You can eat like how the locals ate many years ago before foreign feet arrived – and rest assured, the food is just as authentic as before! 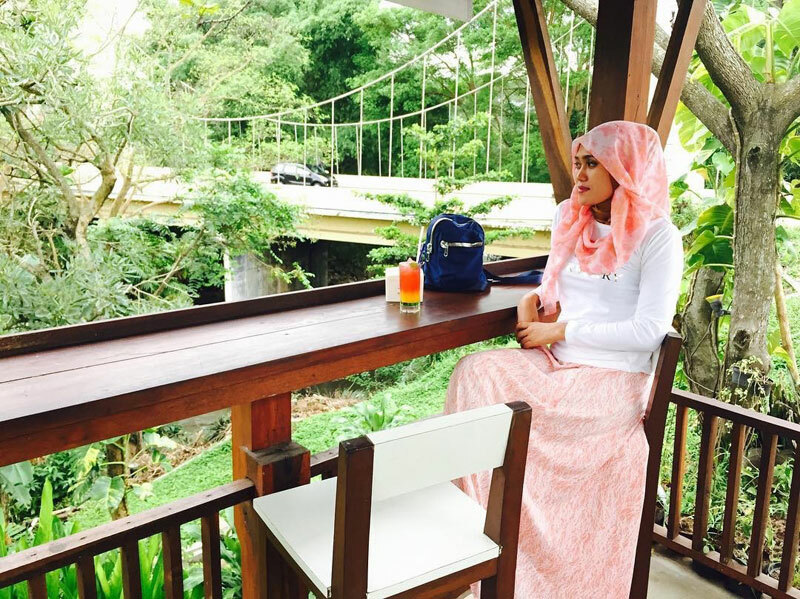 Address: Jalan Lawang Sewu Golf No. 2-18, Kota Araya, Malang, Indonesia. Kicking off our list of edible excursions is this museum restaurant. No, it’s not a restaurant next to a museum. It’s literally a restaurant, IN a museum! 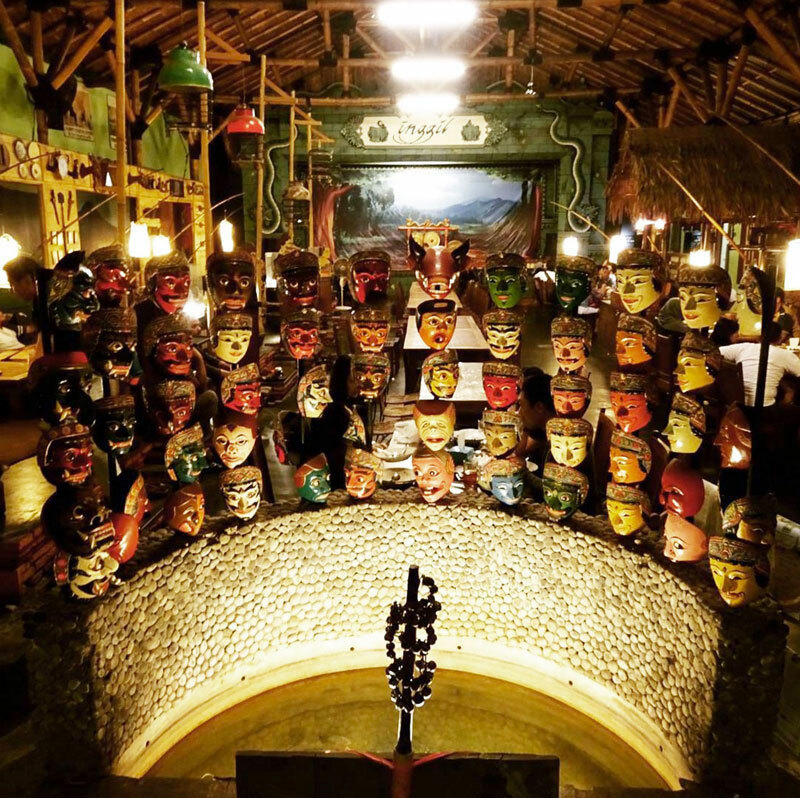 Feast on traditional cuisines, surrounded by antiques like weapons, typewriters, grandfather clocks, furniture, pots and pans, Javanese festival masks – and loads of old black and white photos from days before colour photographs were invented. How often can you say you’ve dined in a museum before? Even Indiana Jones and Lara Croft have never done this. 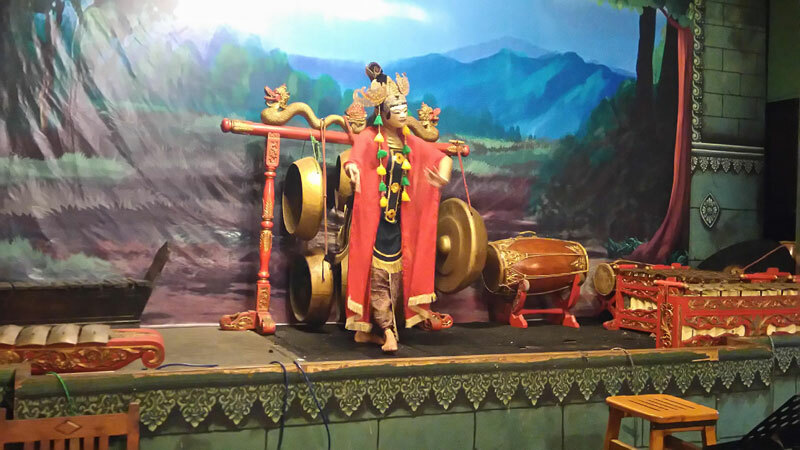 And if you get bored staring at old creepy things, then feast your eyes on the traditional Javanese music and dance performance put on by the restaurant. Do note that this performance is only available for dinner! 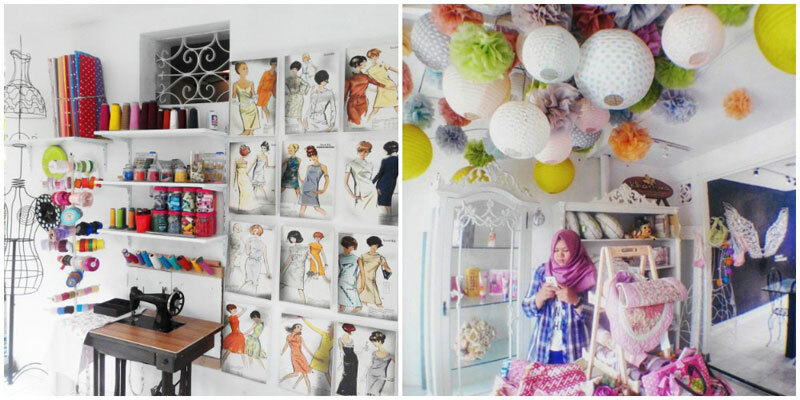 Address: Jalan Gajah Mada No. 4, Malang, Indonesia. 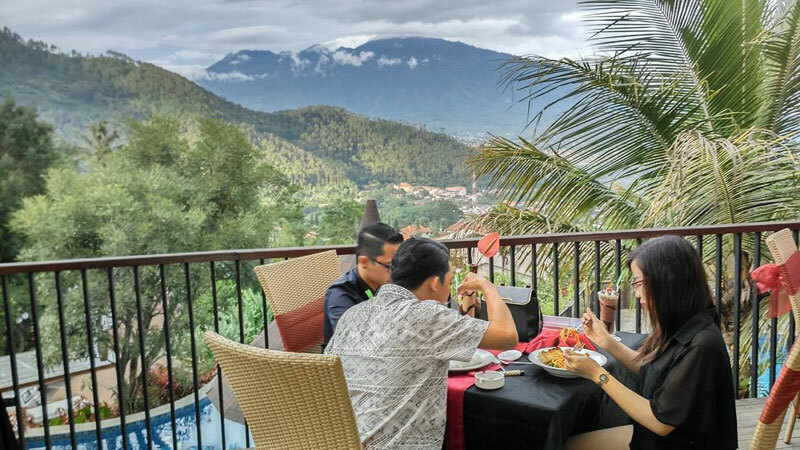 Located right outside the city in Kota Batu, The Clubhouse Restaurant and Lounge boasts of a stunning view of the Malang cityscape from the mountains. 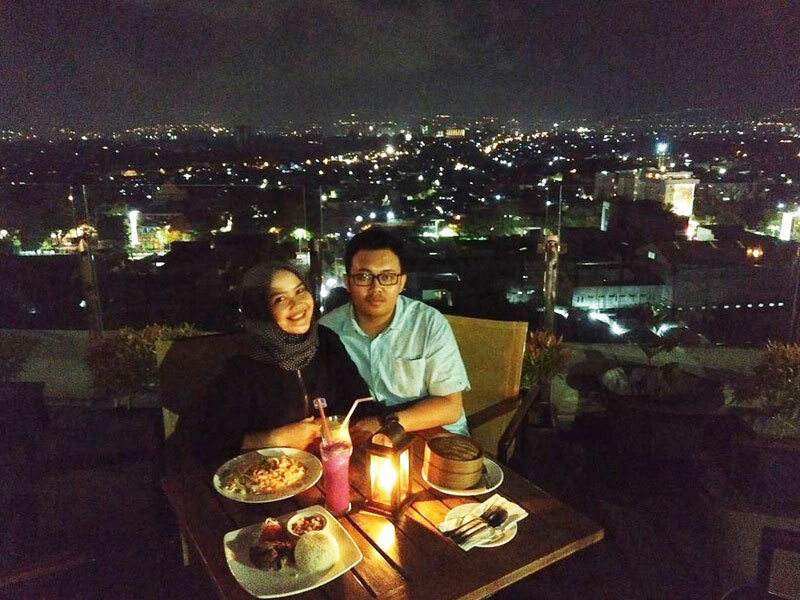 From the slope of Mount Panderman, you can witness the sparkling lights of Malang and Batu from the top. Prepare to be surprised by how low the temperatures can be at this altitude. Bring warm clothes and order hot drinks! 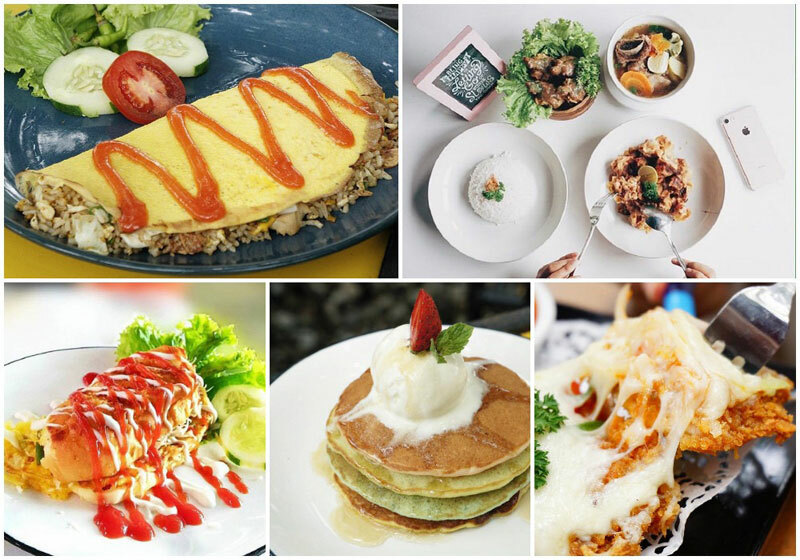 You can also try out their local and international dishes. If you are travelling with your partner, we recommend the romantic dinner package – why not spoil yourselves and rekindle your romance with the stunning view? 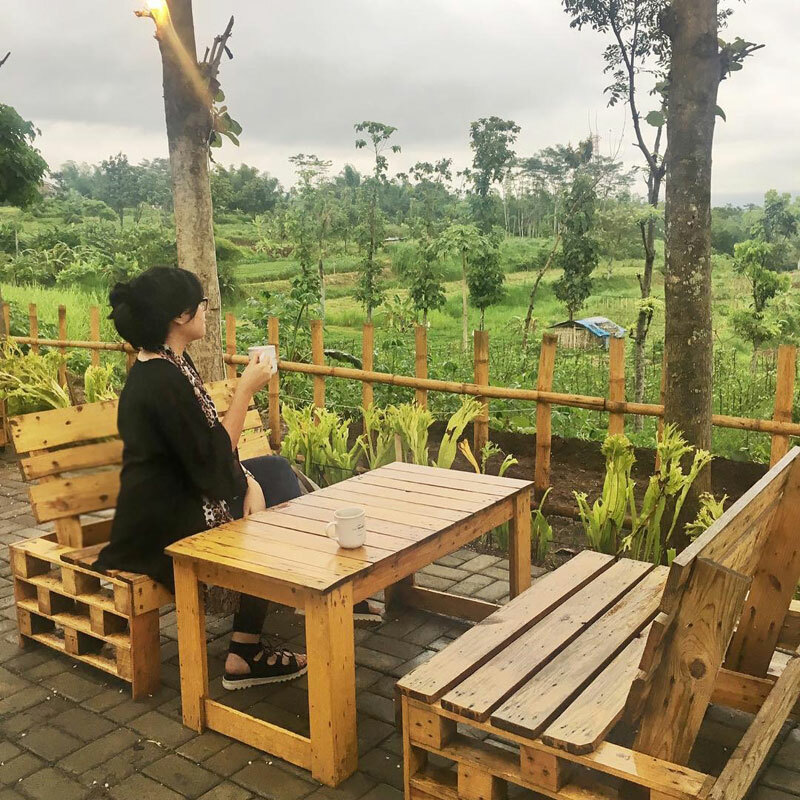 Café Bungkit Delight is positioned in one of the corners of Malang where you can enjoy views of plantations, mountains, and villages. 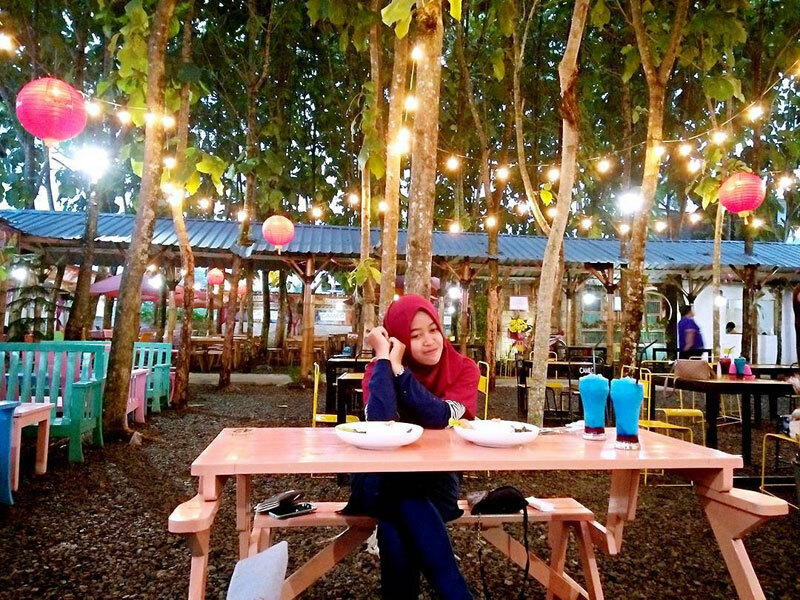 You will love coming here at night, where the romantic atmosphere is enhanced by magical fairy lights adorning the trees lined on both sides – the perfect place for a late night chat with your sweetheart or for some heart-to-heart talks with your besties. 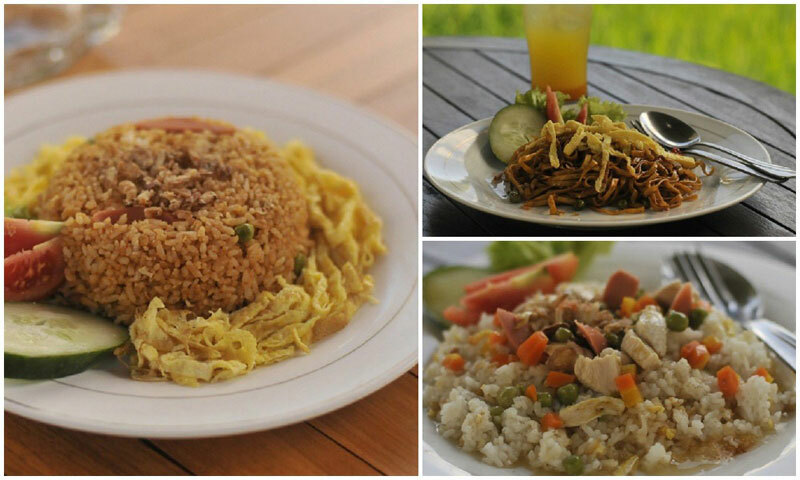 As for food, you can modern local favourites such as Chicken Black Pepper Rice, Chicken Barbeque Rice, and Beef Teriyaki Rice. 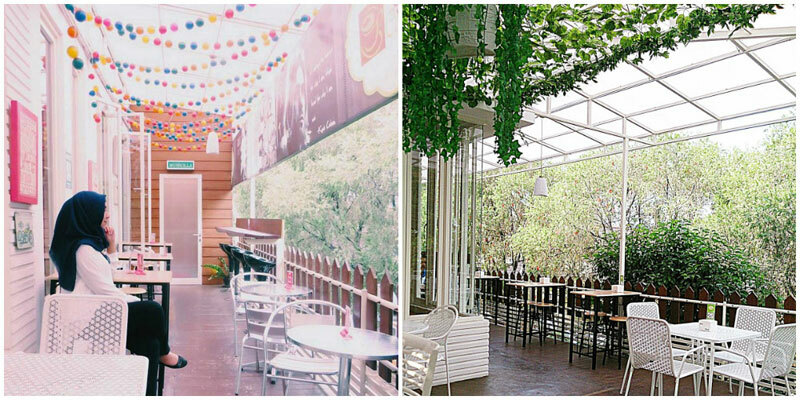 Have you always dreamed of chilling at a cafe in the middle of the forest? 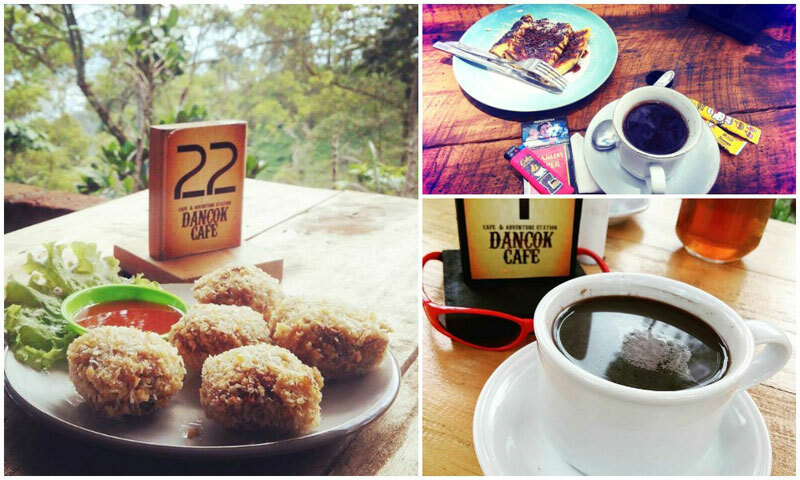 With a name that stands for “the chocolate leaf”, Daun Coklat, also known as Dancok, is a promising cafe under the shady mountain trees. Here, you will have an intimate encounter with nature. Relax in hammocks hung between pine trees, and laze in comfortable chairs where you can listen to the sounds of the nearby Songgoroti valley. 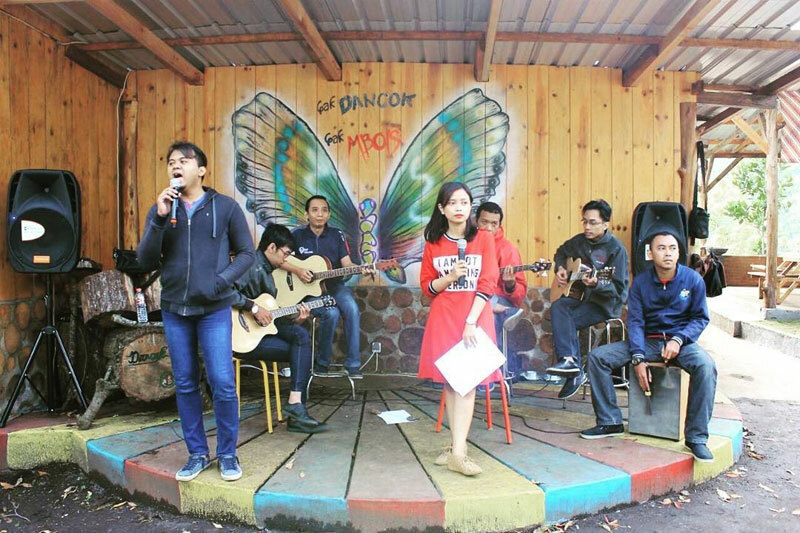 You’ll also be thoroughly entertained by local bands jamming at the cafe. 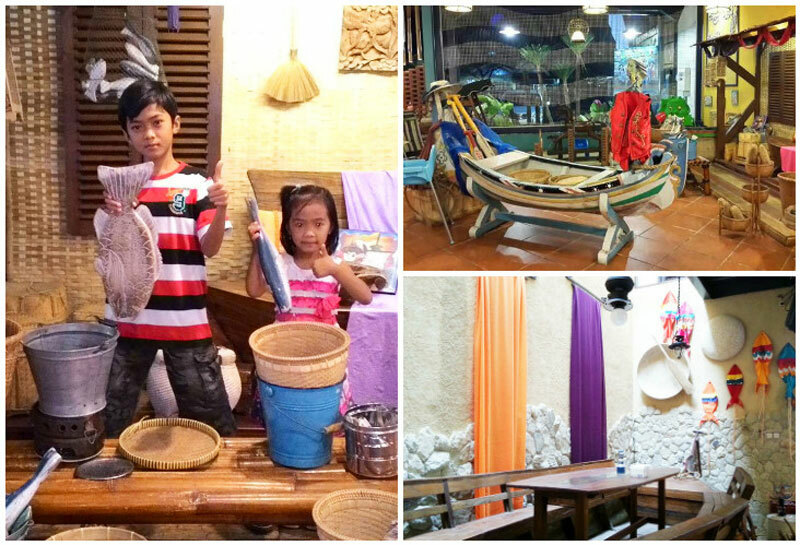 Entertainment certainly goes well with some local snacks, and a must-try is the Dancok Tofu. 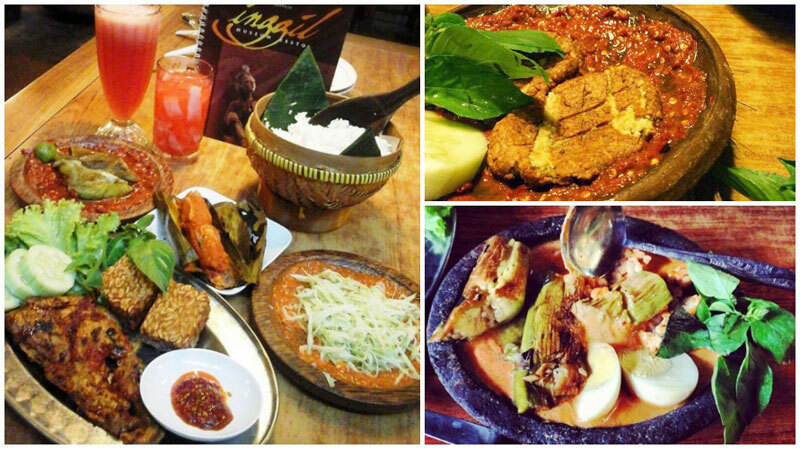 This is one of the best Indonesian starters we would recommend. 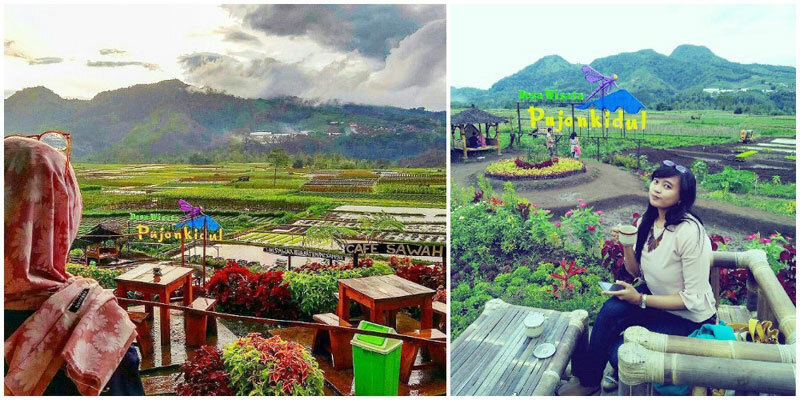 Address: Coban Rondo Tourist Center, Coban Rondo Str., Pandesari, Pujon, Malang, East Jawa. 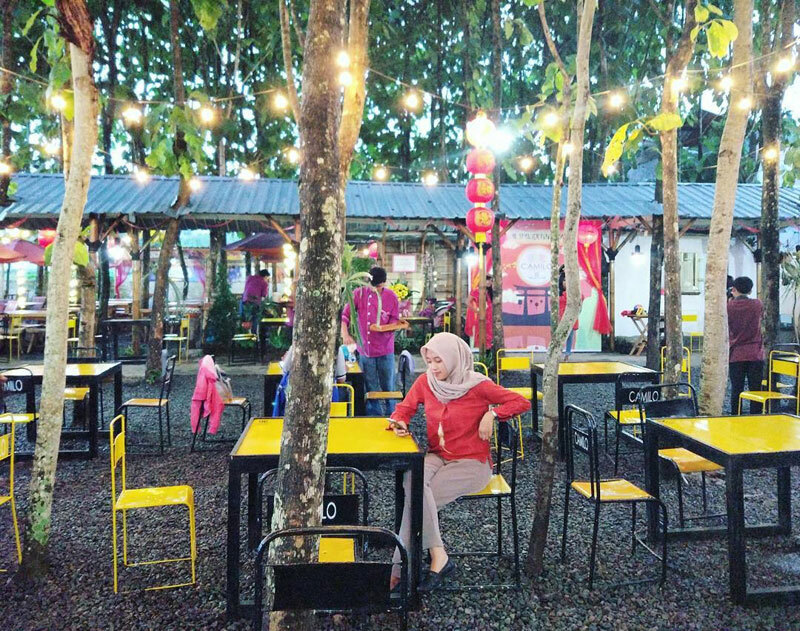 Dine under fairy lights with a burst of colour at the Instagrammable Camilo Colours & Garden, located in the outskirts of Malang. Great attention is paid to the decor, furniture, colours and little details that create this pretty atmosphere at night. You can choose how you would like your coffee prepared, from V60, Scale, to Syphon. That’s not even mentioning the latte art! 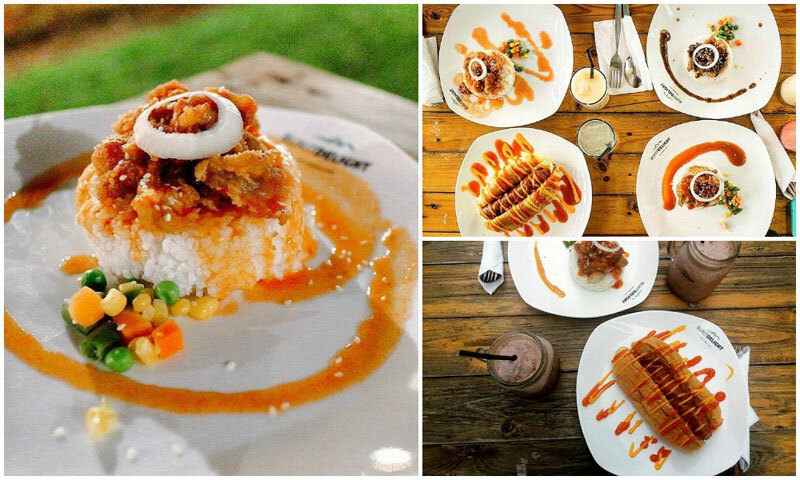 As for the food, the menu has a lot to offer – choose from Tuna Fried Rice to the Waffle Choco Cheese and Pancakes. Everything tastes delicious! 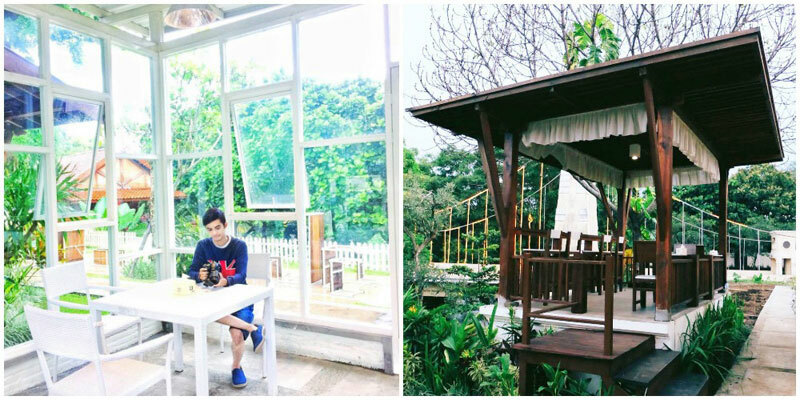 Rumah Opa translates directly to “grandpa’s house” which explains the concept and décor of this place. 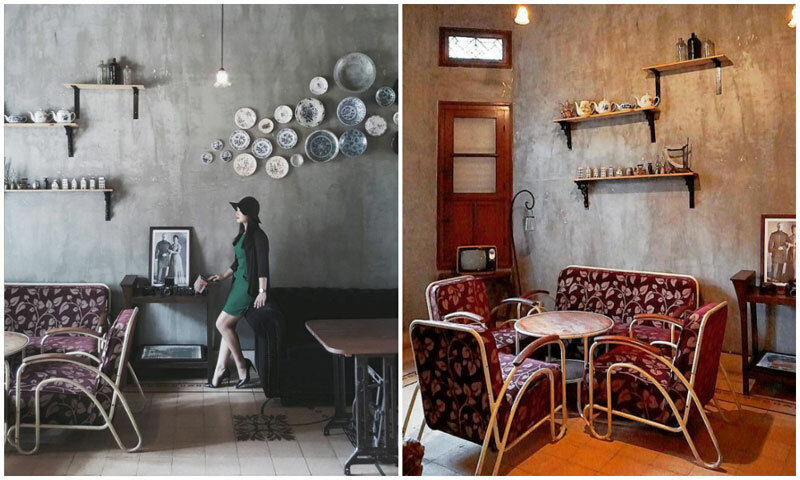 It resembles a classic Javanese home back in the day, with mismatched furniture and vintage appliances and finishing. But make no mistake, you won’t find any of grandma’s cooking here. 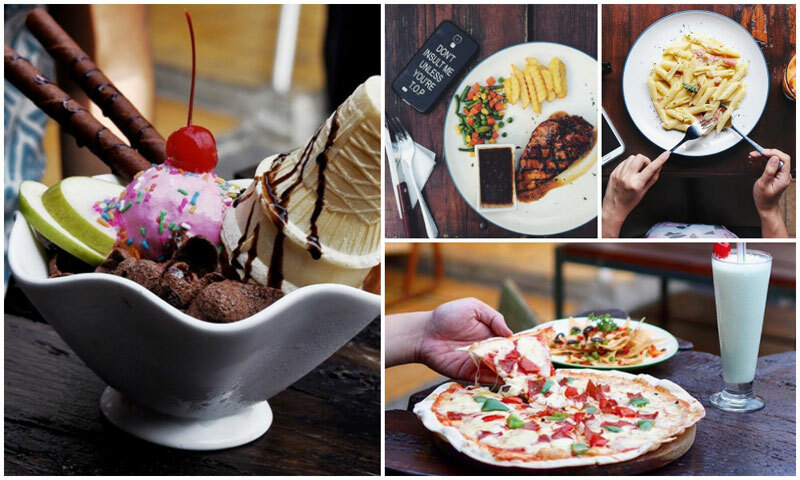 Their signature dishes are pizzas and pastas! The biggest draw? Their cocktails. You’ll find herds of young adults here boozing until the wee hours, something they can’t do at their real grandpa’s house. 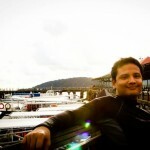 Address: Jalan Welirang No. 41A, Malang, Indonesia. 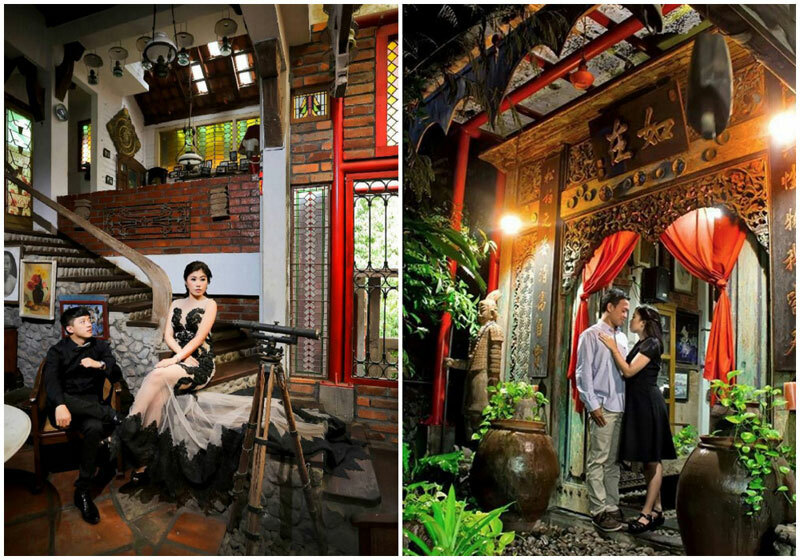 Tugu Hotel is a luxury “boutique museum” chain of hotels that romanticises Indonesia’s pre-and post-colonial history. 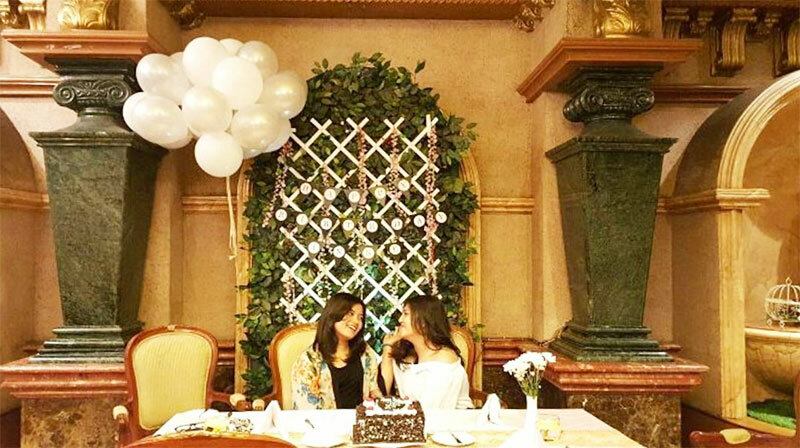 Known for its impeccable service and romantic vibes, Tugu Hotel Malang is a wonderful place to go – both for a romantic date, or an adventurous night out with the little ones. 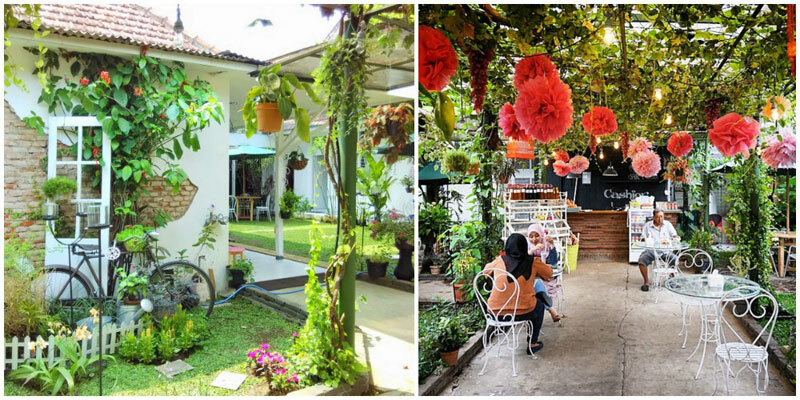 When you’re here, walk along wide spacious courtyards dressed with long red drapes, and admire the Chinese-Peranakan decor, Jawanese statues, Dutch furniture and modern French architecture. 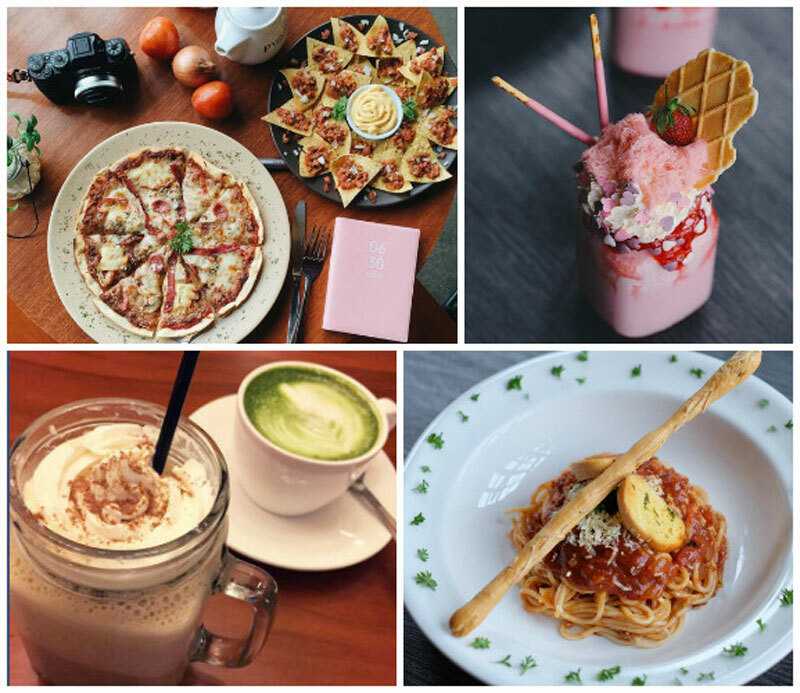 These influences can not only be digested visually, but through your tastebuds with these restaurants too! 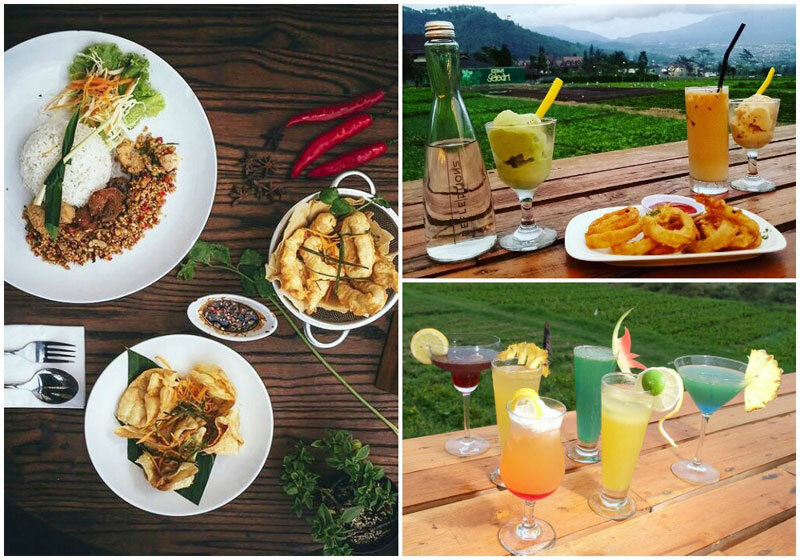 Tugu Hotel Malang’s 24-hour restaurant takes all of the hotel’s colonial influences and throws them into one giant hot pot of heavenly history. 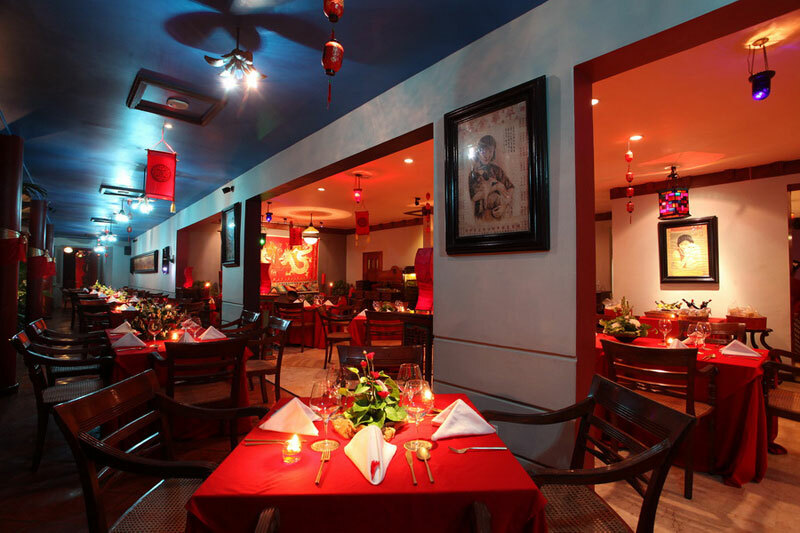 Chinese-Peranakan, Dutch-Javanese, and French cuisine styles are all married into one fine dining experience. So don’t be afraid to overwork your tastebuds. 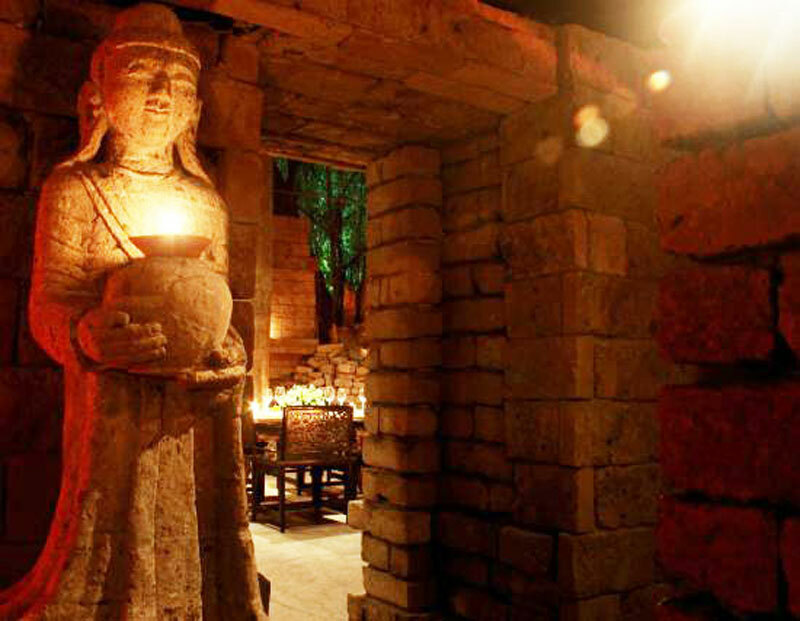 From the carvings to the paintings, from the marble tables to the lights, this restaurant is the closest thing to an ancient Chinese home with Jawanese stone carvings and modern day European furniture. Yes it sounds complicated, good luck captioning your Instagram. 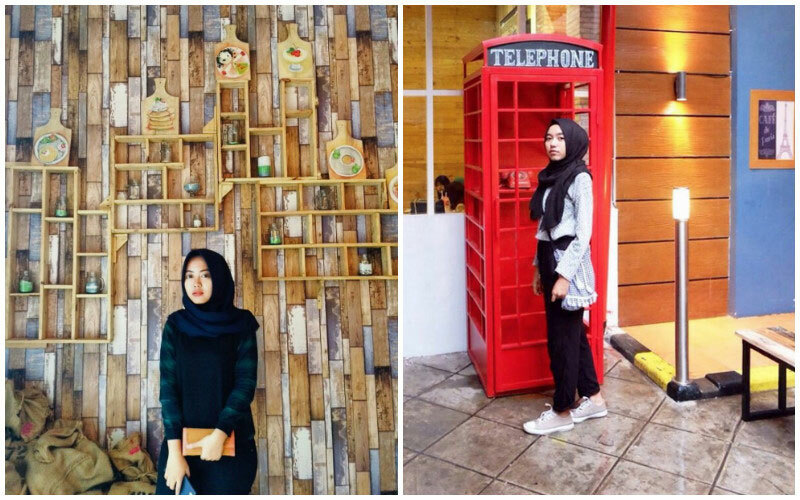 Address: Jalan Tugu No. 3, Malang, Indonesia. 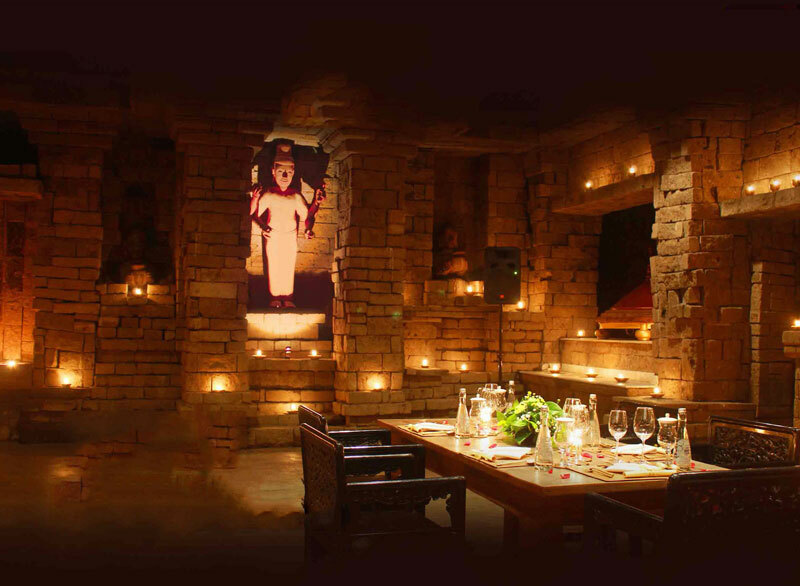 Note: The Lost Temple & The Royal Angkor Room are now combined to SaigonSan, do watch this space for more updates! 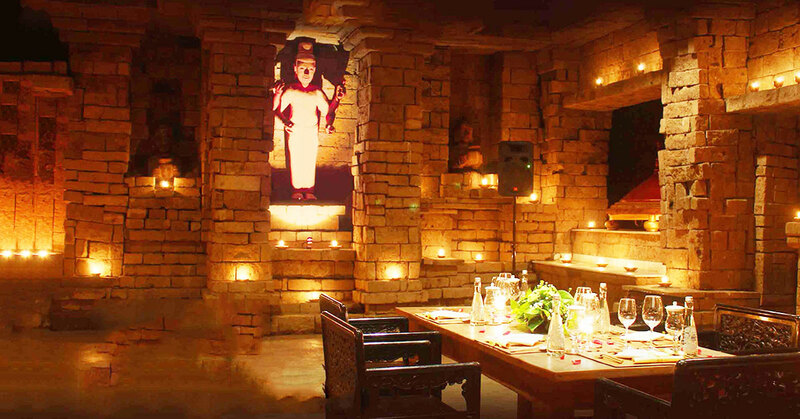 Royal Angkor is an event hall decorated to look like the Cambodian Angkor Wat, with old stone walls and pillars. In the center, sits a giant statue of Hindu God, Jayawarman. 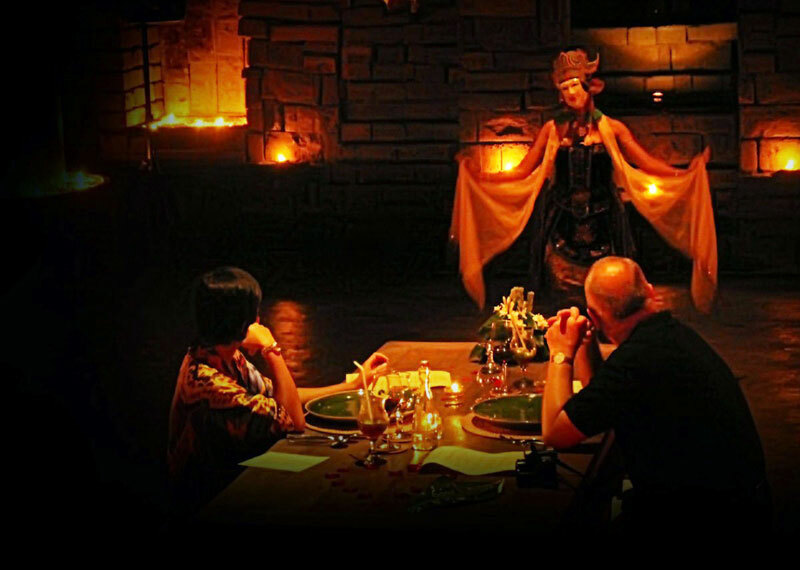 The Lost Temple dinner is a food-and-theatre performance that pays homage to the story of King Jayawarman II and King Suryawarman II who had their roots both in Java and Cambodia – so expect music and dancing in between each bite. 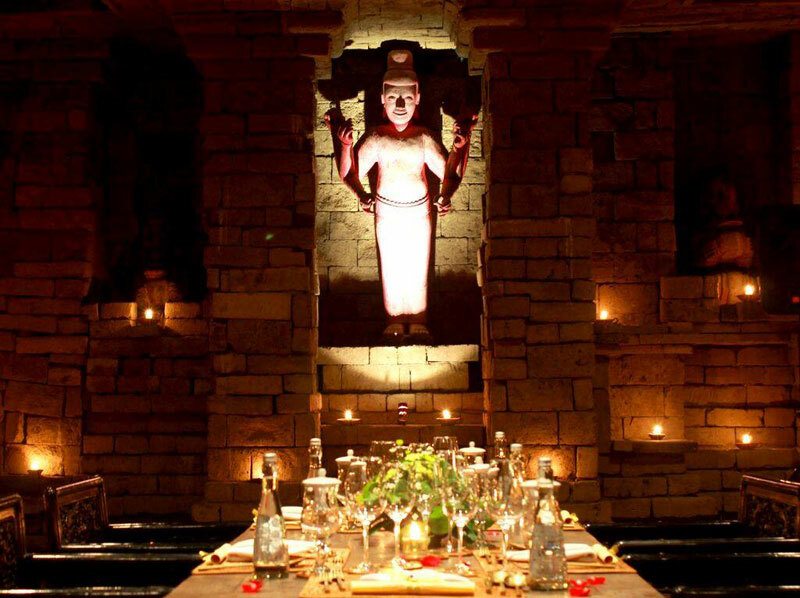 This by-reservation-only meal is perfect if you would like to visit Angkor Wat, without having to brave the mozzies, humid jungle heat, and Tomb Raider wannabes. Opening hours: By reservation only, do contact the hotel 2 days in advance. 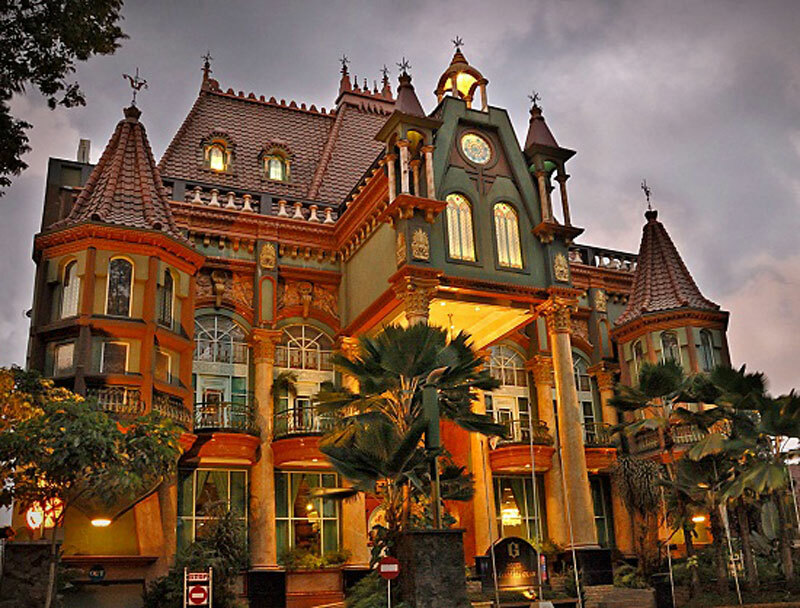 Hotel Gajahmada Graha is one of Malang’s most iconic hotels, famous for its Greco-Roman architecture. You’re not gonna believe this, but the building looks like it was plucked out of a Hans Christian Andersen fairy tale! The Cleopatra Restaurant on the other hand, looks like a Valentine’s Day gift from Julius Caesar to the Queen of the Nile. 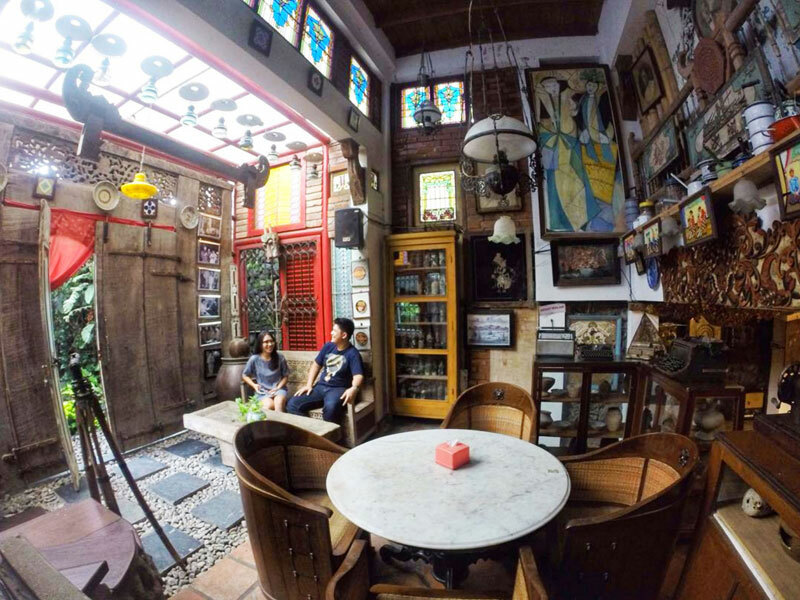 It doesn’t have any Egyptian stuff, mostly Roman pillars, naked marble statues, European-styled furniture – and serves local Javanese, Chinese and European cuisine. But here’s the weird part; their signature dish is dim sum. Fans claim one of the best “yum cha” grub is right here. 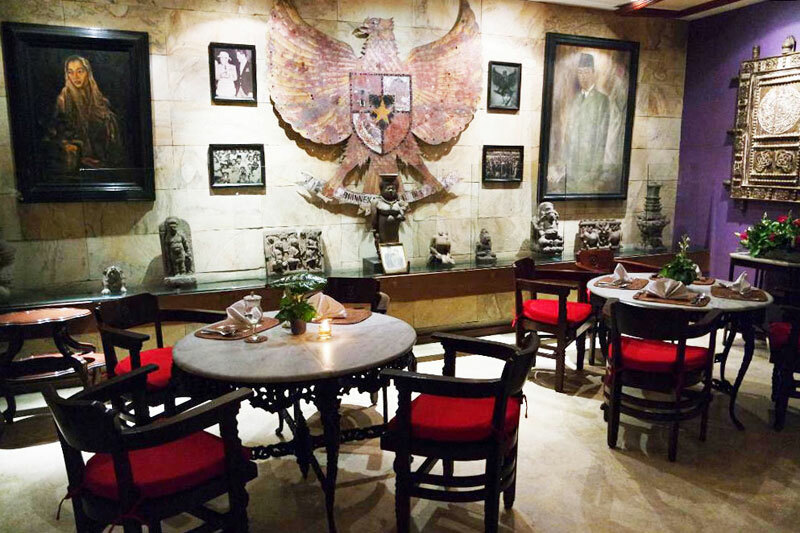 Being 20 minutes’ drive from Abdul Rachman Saleh airport, this is a classy spot for a last minute dine-and-dash. 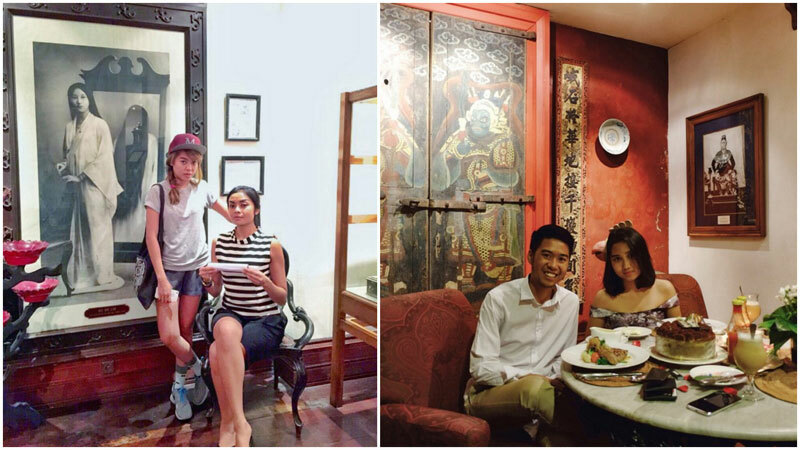 So enjoy Chinese food in a Greco-Roman looking hotel filled with European furniture in Indonesia, that is named after an Egyptian queen. While dim sum and Cleopatra have absolutely nothing in common – this mishmash of cultures is definitely unique! Address: Jalan Dr Cipto No. 17, Malang Center, Malang, Indonesia. 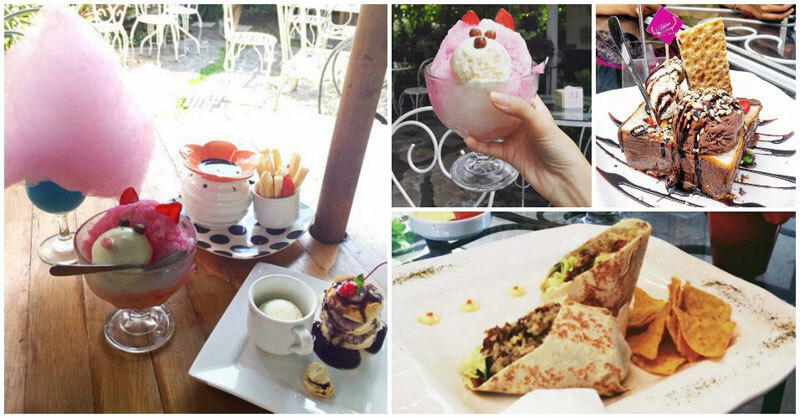 Madam Wang Secret Garden cafe is the kind of place you would want to have a look around before choosing a place to sit. And even then, it would be a tough decision to make between the outdoor vine garden, or the incredibly cosy indoors that somehow reminds you of your grandparents’ house. If you’re looking for something heavy, Chicken Gudeg, native dish of Yogyakarta, will certainly keep your appetite full and happy. 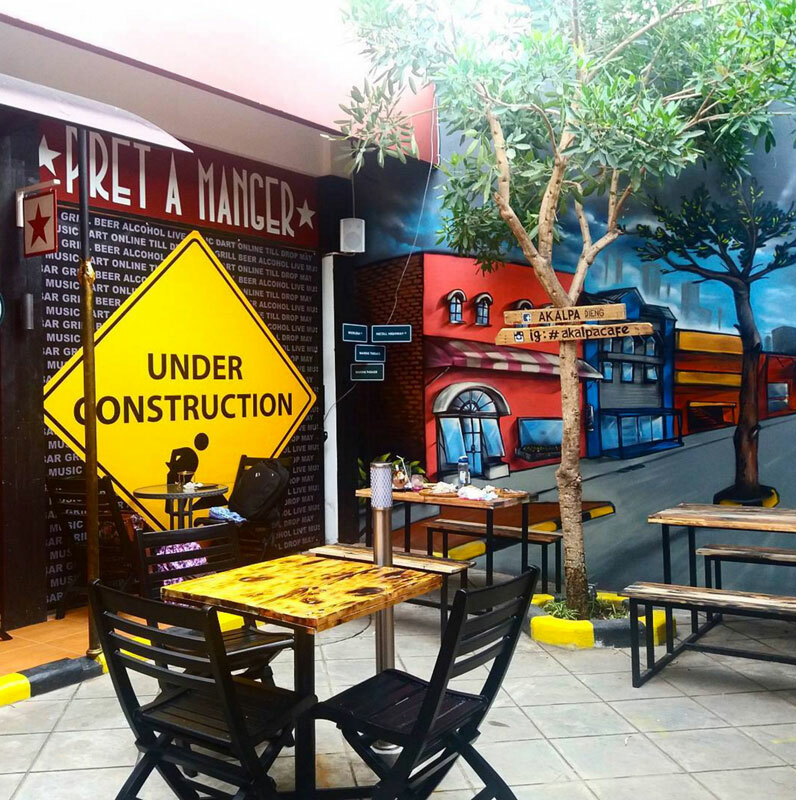 On the other hand, the most popular item on the menu has to be the apple strudel – to remind you that you are in Malang in case you’ve forgotten! 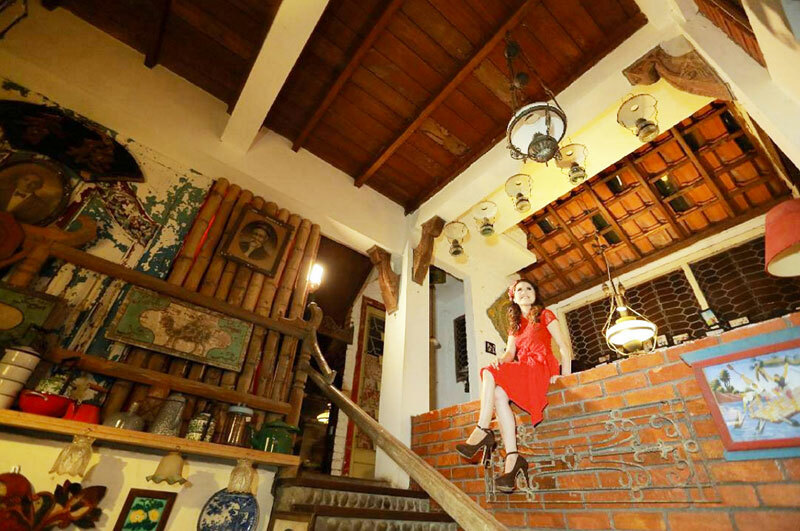 Not just a cafe, Madam Wang Secret Garden hosts a small boutique, with its own collection of batik garments, as well as raw materials such as threads and weaved cloth. Tired of taking selfies – said no one ever! One of the main factors that make Instagram posts beautiful (and garner the most likes! 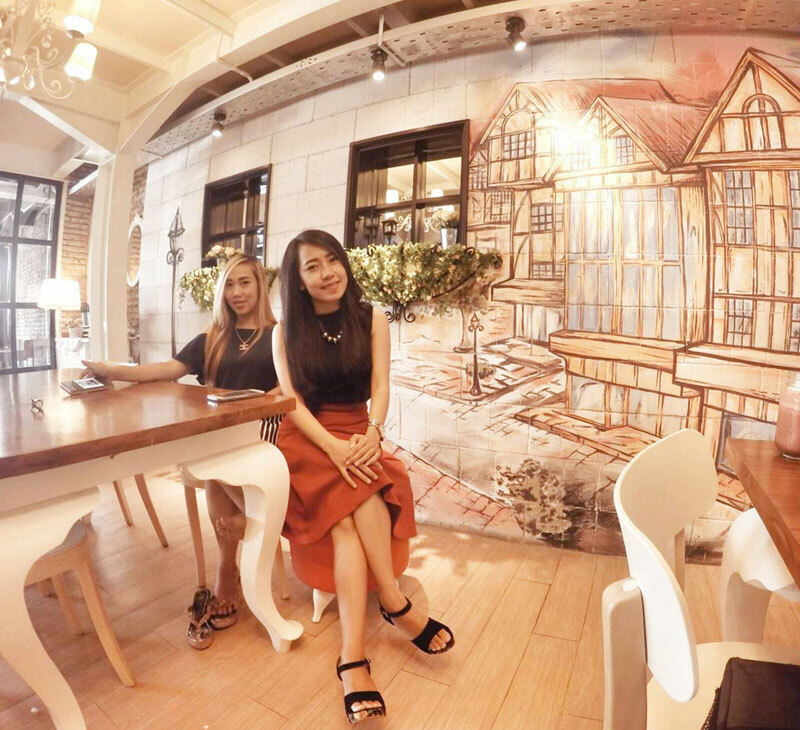 ), is the background – and you won’t suffer a shortage of those at this cafe. 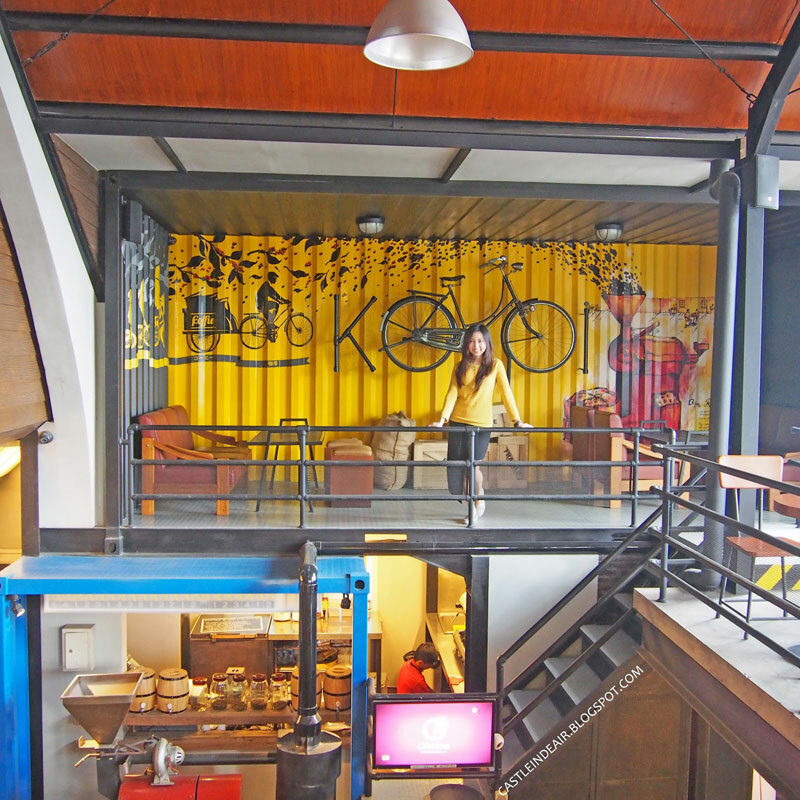 Most of the walls are covered in patterns, mock sceneries, witty posters and quirky images. They even have an English phone booth for you to pose in! Address: Jalan Terusan Dieng No. 67, Malang, Indonesia. 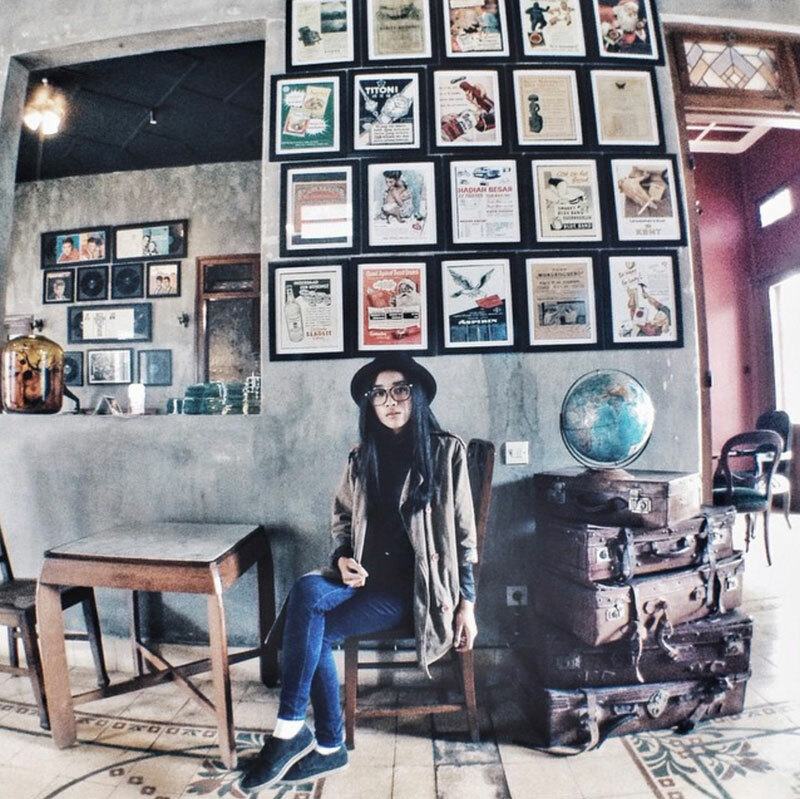 As far east as Malang is, it still couldn’t escape the scourge of the hipster movement. 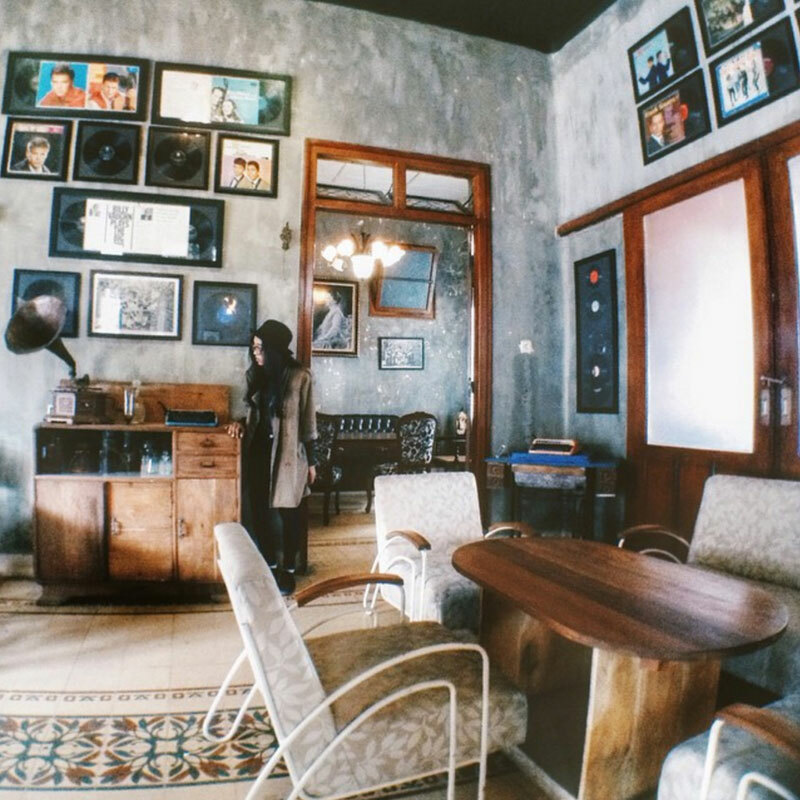 Hipster cafes are sprouting up as fast as you can say #YOLO. 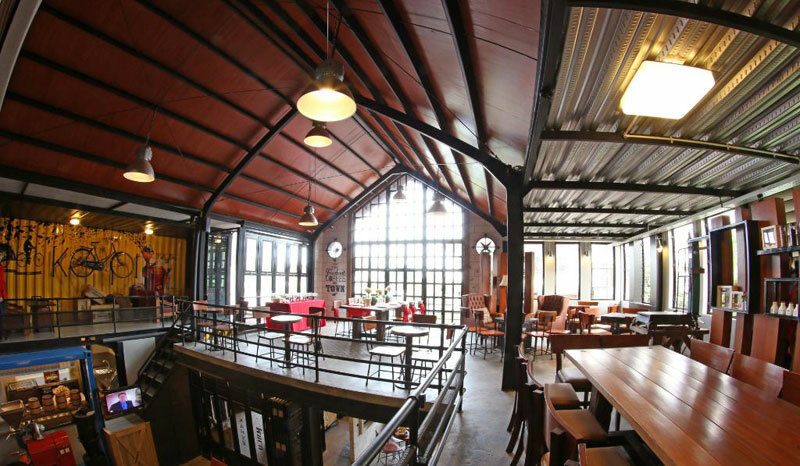 These coffee bars usually look like the offspring of a warehouse that mated with a log cabin. Timber ceilings with exposed metal beams ? This Koffie house boasts that their coffee beans are slow roasted daily, so you won’t get that “flat” tasting coffee from leftover beans. They also offer a wide range of local and imported beans for you to try, so drink away! Address: Jalan Raya Tidar No. 36, Malang 65146, Indonesia. Ever wanted to have a picnic on the pier but couldn’t because you can’t swim? 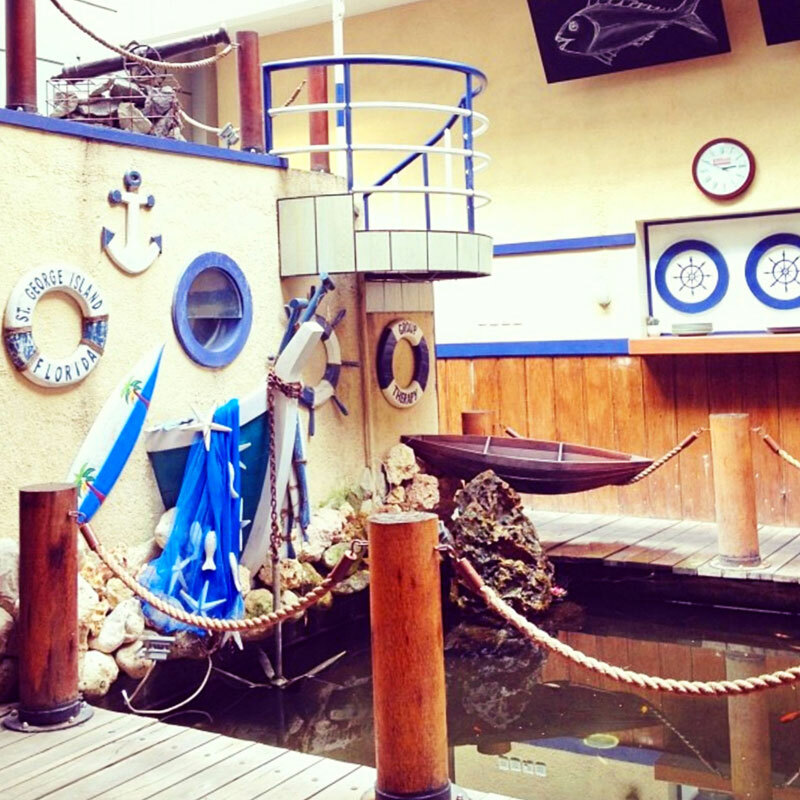 Well, stay dry and sail past a lighthouse in this harbour-themed restaurant! 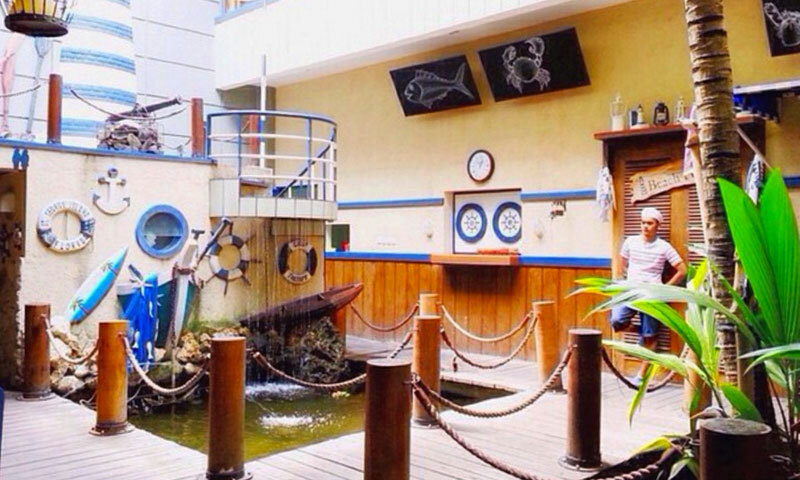 Decorated to resemble an actual dock, this cool diner has actual boats and fishing nets parked around the tables. One corner is even painted to look like the beach with real pebbles and seashells stuck on the walls. Not just one single uniform, but various kinds of sailors’ outfits. From the old Popeye outfit to the modern US navy – you can touch these strapping young lads with your kind words but not your hands. 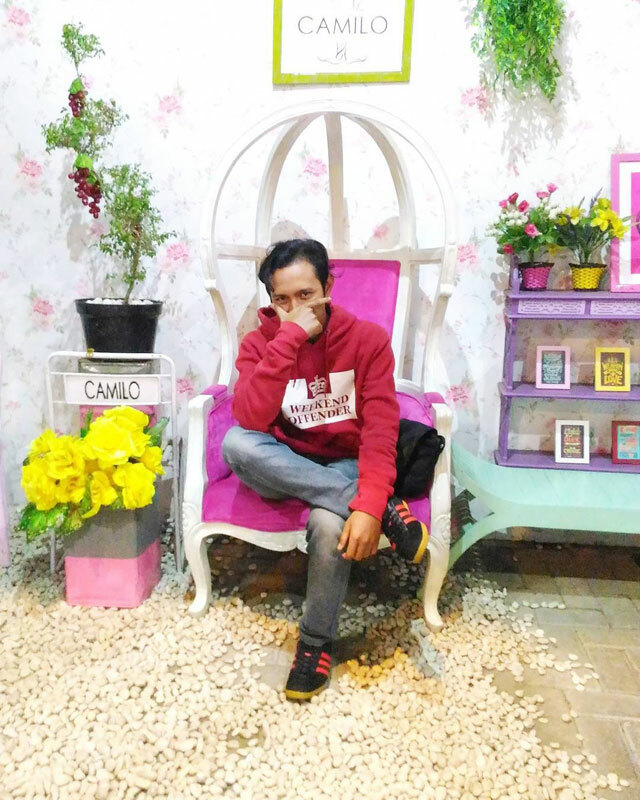 Address: Jalan Danau Toba G1/E19, Sawojajar, Malang, Indonesia. 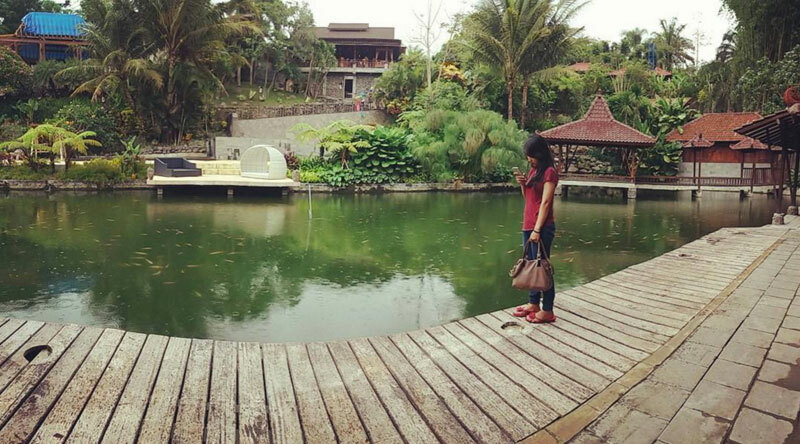 Some eateries have water features or giant aquariums in it, but this restaurant is built AROUND a giant pond! 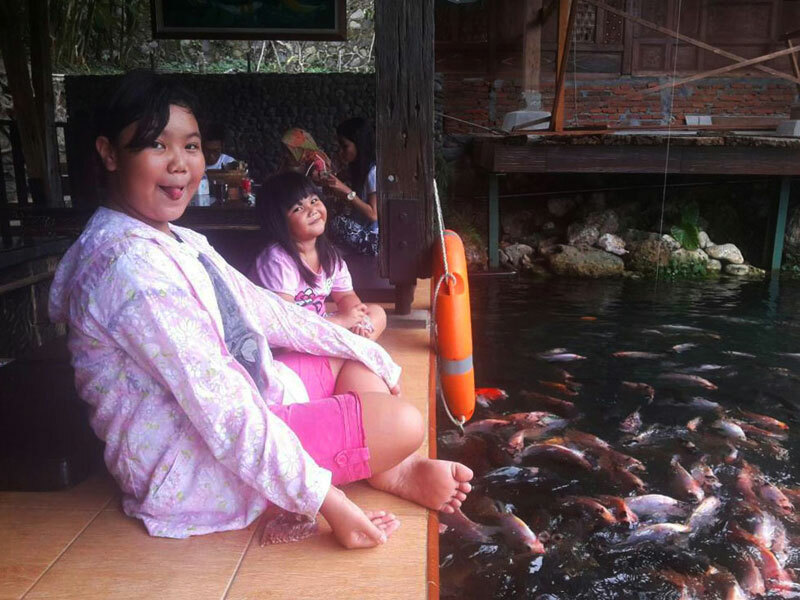 Situated on a 35-hectare piece of land, the owners had a giant space to fill and so they filled it with water and tons of koi fish. No matter where you sit, you’re guaranteed to get a good view of the pond. On the menu, you will find a good selection of goodies from grilled snapper, to fried calamari and sauteed Kale to fill your bellies. The resort itself is surrounded by lush greenery, and the restaurant staff will encourage you to take a stroll around the gardens after dinner – but not before paying your bill that is! Now don’t be fooled by the name, you won’t find any mountains or canyons here. If you’re tired from all the ancient ruins or hipster cafes, this spot might break the monotony of your day. Dine on long patio-like balconies overlooking the city – with lots of creeper plants that dangle from above, giving shade and creating a vineyard ambience. 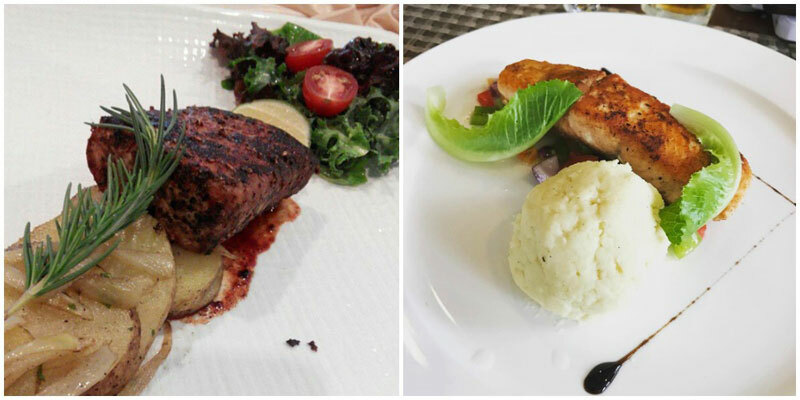 But instead of grapes and cheese, you can feast on the house specialty – steak or chicken with coffee sauce. This unique blend gives it a sweet and savoury taste with a mild bitter afterthought. If trying new stuff doesn’t float your boat, then try their other signature dish; Korean pancake dessert. Yum, yum. Address: Jalan Bendungan Sigura-gura No. 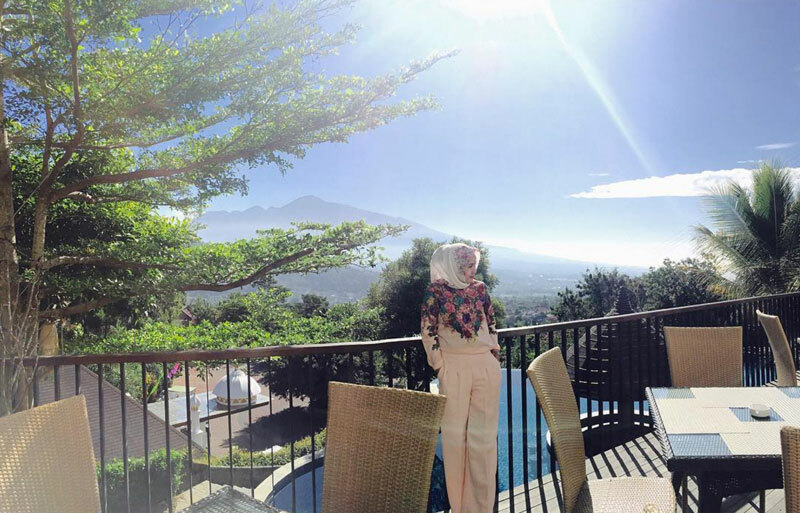 25A, Malang, Indonesia. Apart from cafes, the hipster cult also introduced a new trend that serves trucking good food. Can’t afford to rent a whole shop? Can’t afford to buy furniture? Can’t afford fancy kitchen equipment? Then get a food truck. 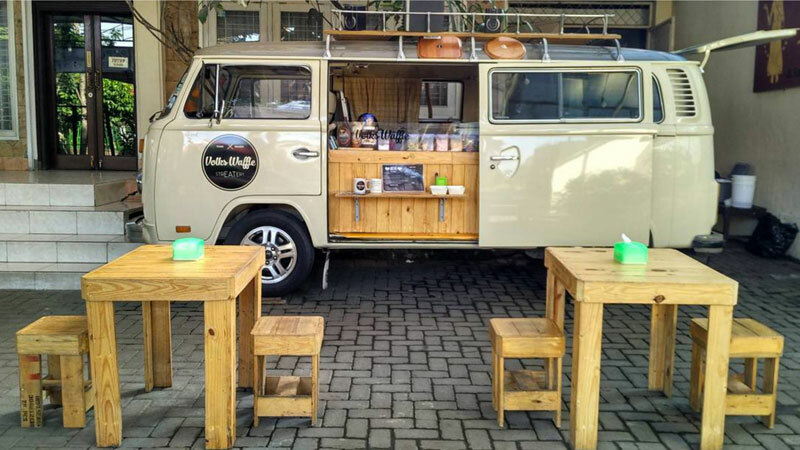 Rumoured to be one of the first “cafe trucks” in Malang, VolksWaffle Streatery is a no-frills dining concept where diners sit on wooden stools propped up along walkways. As the title mentioned, the most unique part of this “Streatery” is the kitchen. 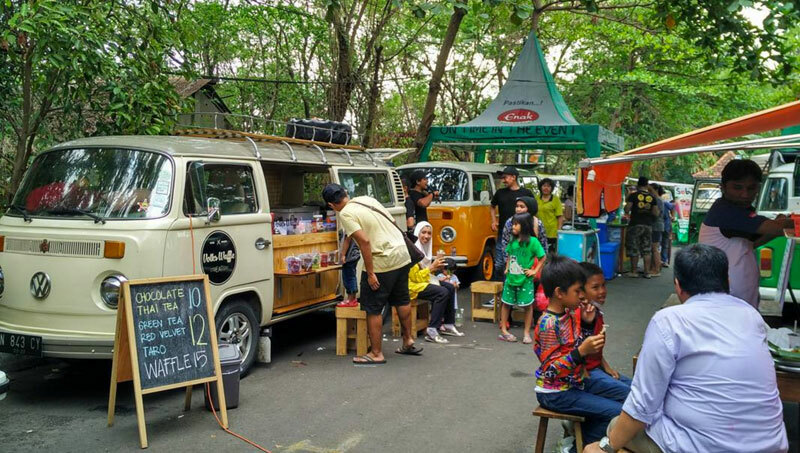 The kitchen is located inside a VW van where your food is cooked! 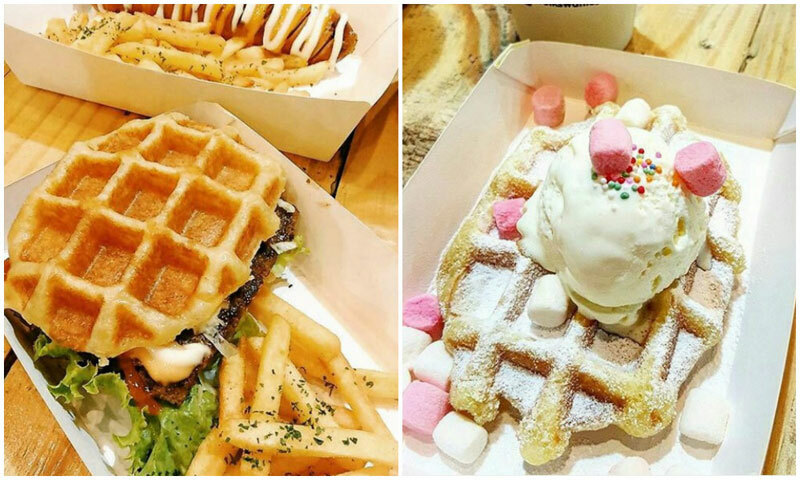 Belgian waffles are used as main elements in most dishes so there’s dessert waffles, savoury waffles, and oh did we mention there’s waffles? Address: Located along Jalan Semeru No. 76, Malang, Indonesia. 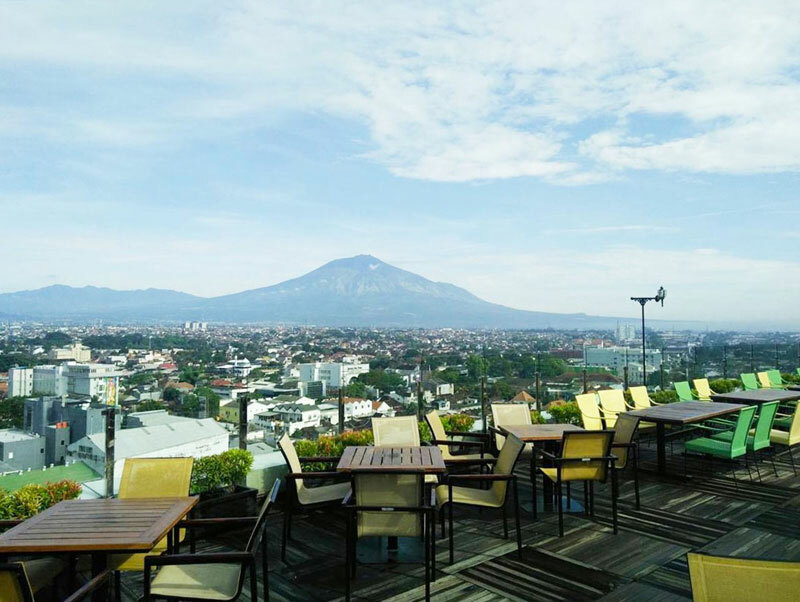 If you are in search of a modern place to hang out and enjoy a view of the city, Skyroom at Best Western OJ Hotel is your answer. 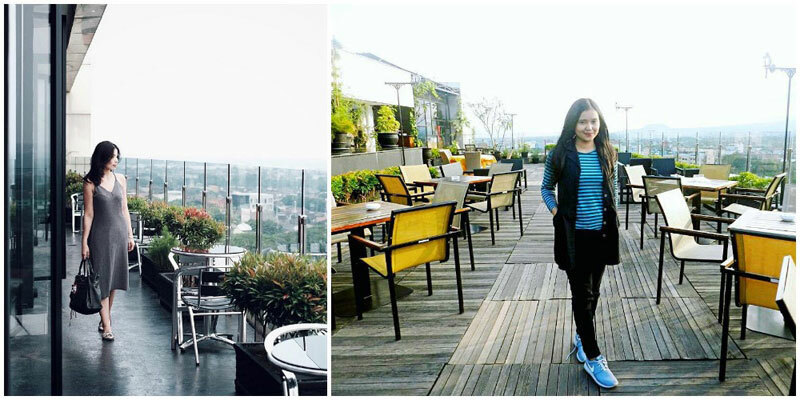 Located at the 12th floor of the hotel, Skyroom is where you can enjoy some cocktails or dine with your friends in the chilly atmosphere at night. As the local jazz band entertains you, chill the night away with the captivating cityscape from up high. Quality is guaranteed when it comes to food. 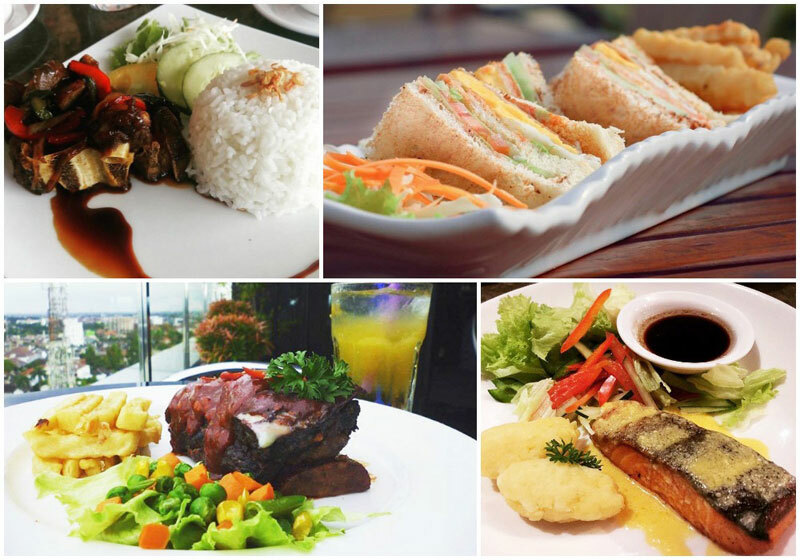 The menu varies from Western to Asian and Indonesian dishes, so you can take your pick. Tip: Do remember to dress up as there’s a dress code here! 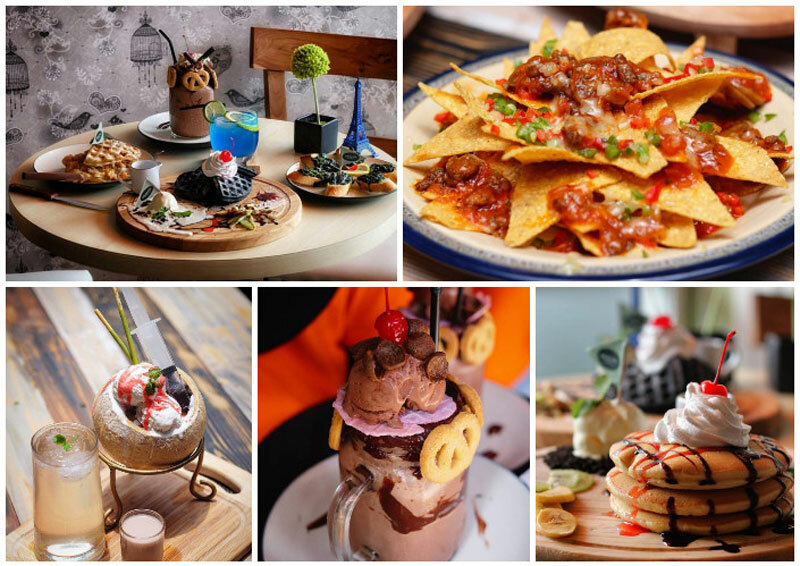 Are there any more unique cafes or restaurants in Malang to recommend? Comment below to let us know! Matt Ho is a disciple of the digital age with a fetish for travelling, writing, and all-you-can-eat buffets.